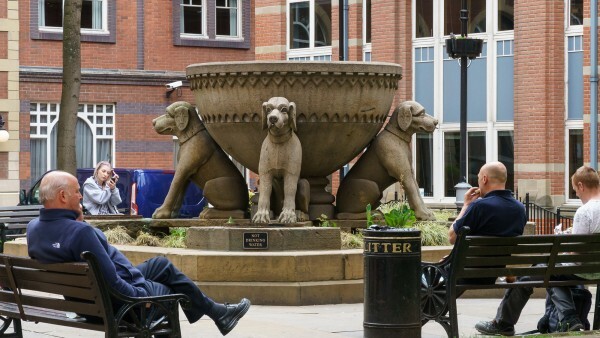 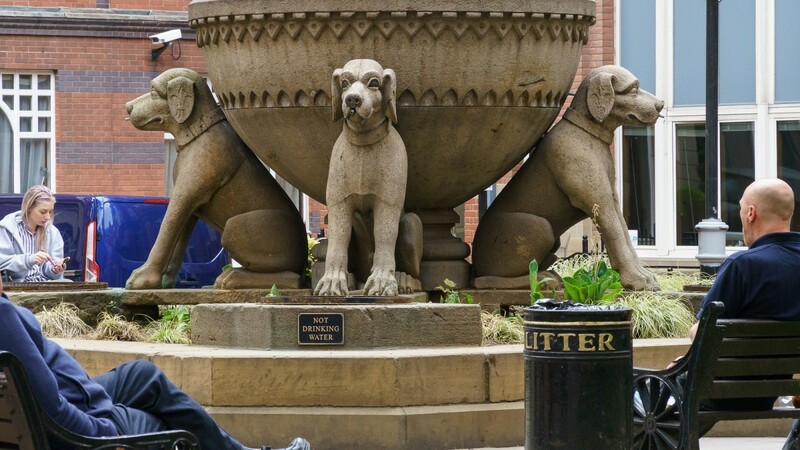 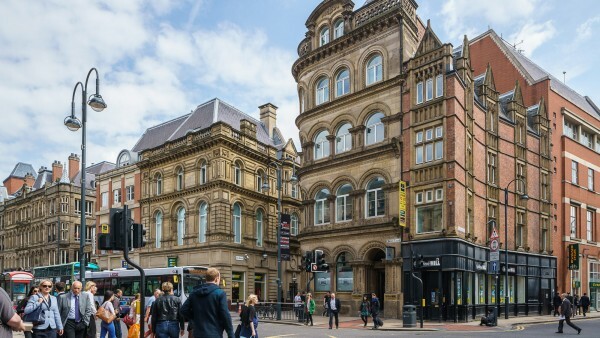 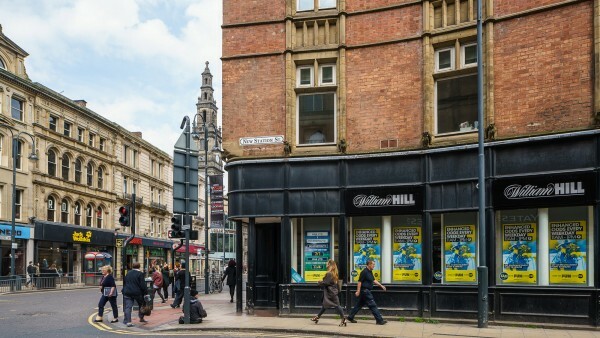 Leeds has one of the most diverse economies of all the UK’s main employment centres, which has enabled it to survive and recover from economic recessions better than many other European cities. 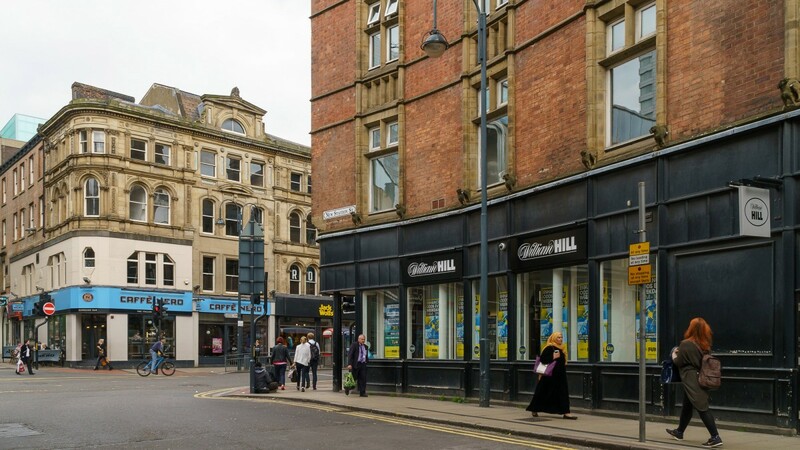 It sits at the heart of a wider city region which has an economy worth over £50 billion per annum and a workforce of 1.4 million. 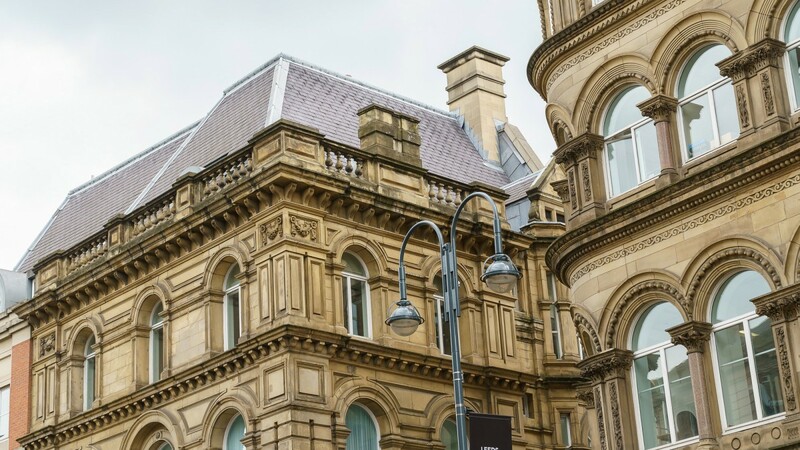 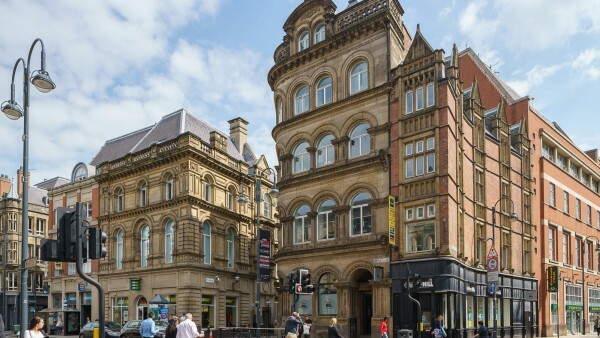 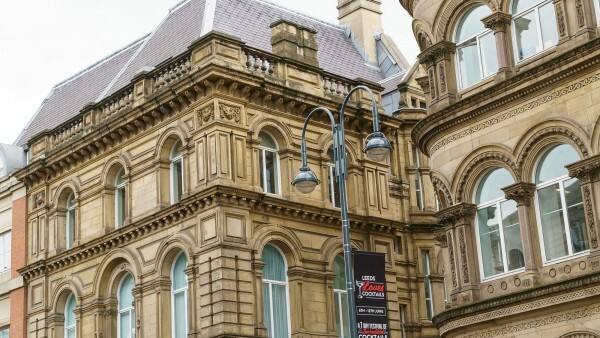 £4.4 billion has been invested in commercial property development in Leeds over the last ten years and a further £5.9 billion of projects are under construction or in the pipeline. 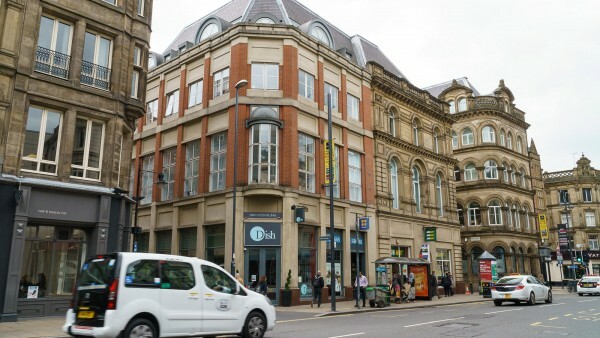 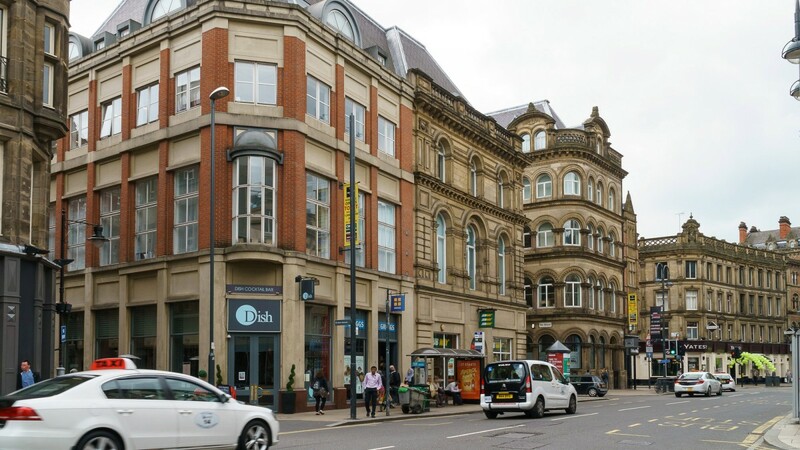 Leeds is the UK’s most important centre for financial and business services in the North, with over 30 national and international banks based in the city. 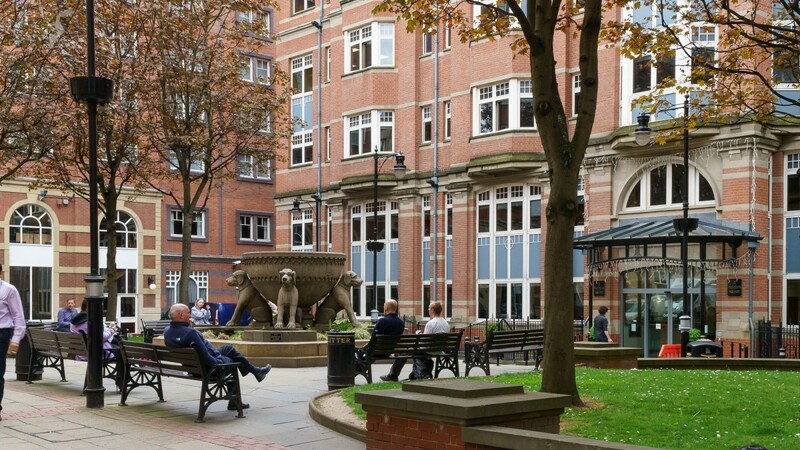 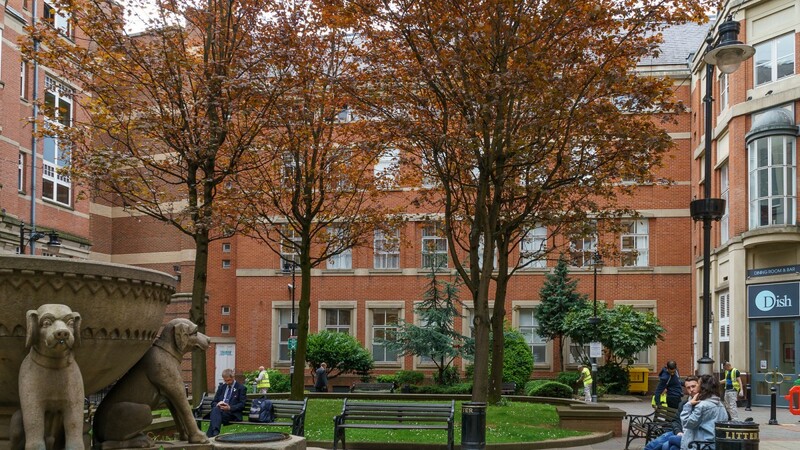 Leeds is also recognised as the top legal centre in the UK outside London. 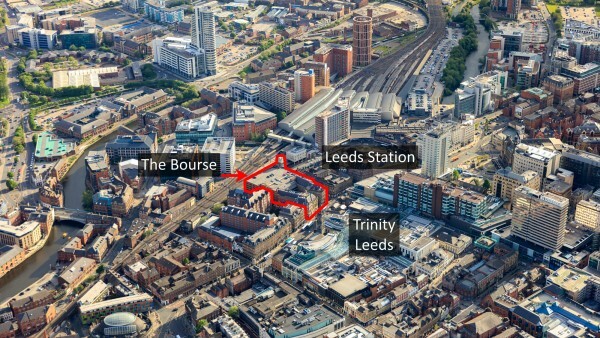 Leeds has the UK’s third largest manufacturing sector. 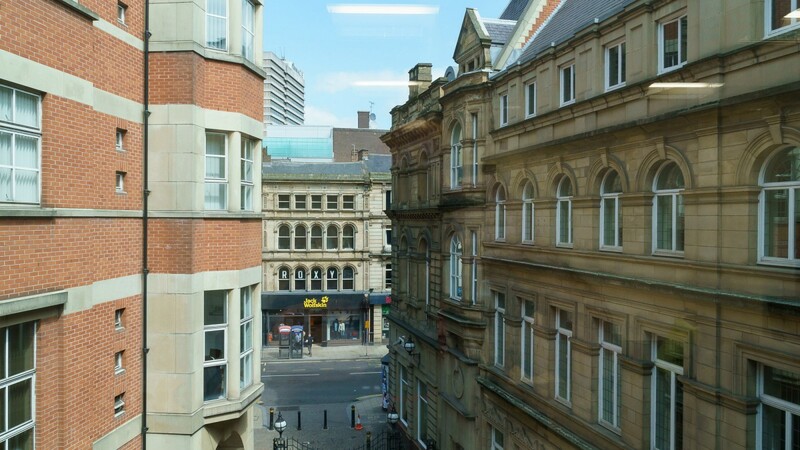 Within this sector, the city is the UK’s largest printing centre outside London. 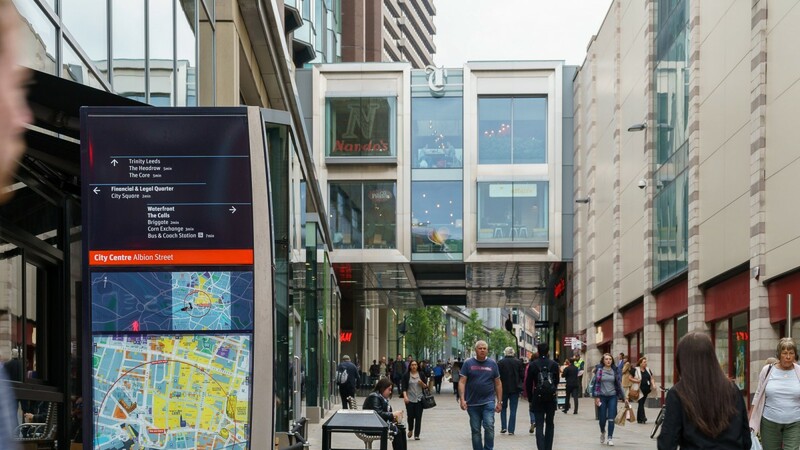 The city was already one of the country’s top shopping destinations, but the retail offer has been transformed by Land Securities’ £350 million Trinity Leeds, which opened in Spring 2013 opposite the subject building, and the £600 million Victoria Gate which is to be developed by Hammerson. 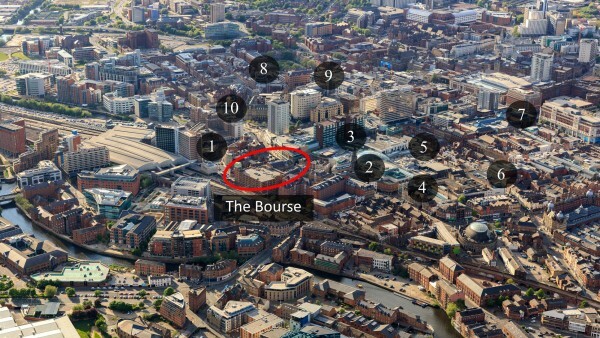 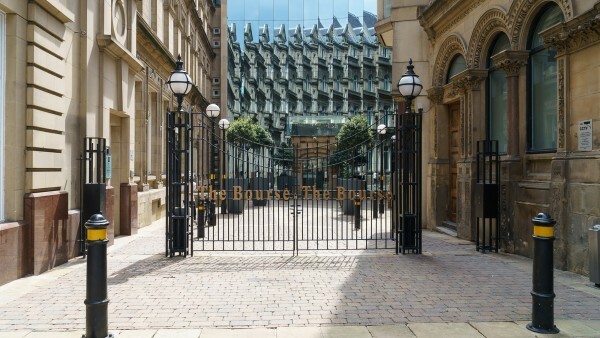 The Bourse is situated at the heart of Leeds City Centre in an established commercial location being midway between the traditional office core situated around St Paul’s Street, East Parade and City Square, and more recent office development that has taken place immediately to the south of the station centred around Bridgewater Place and Sovereign Street. 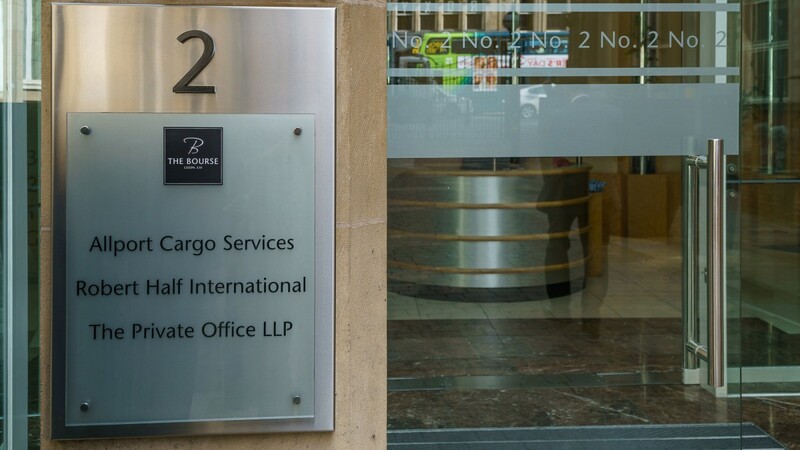 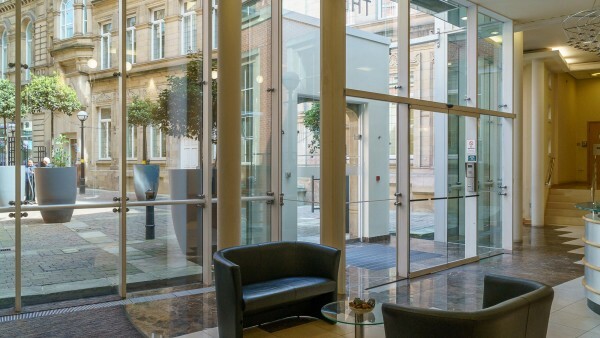 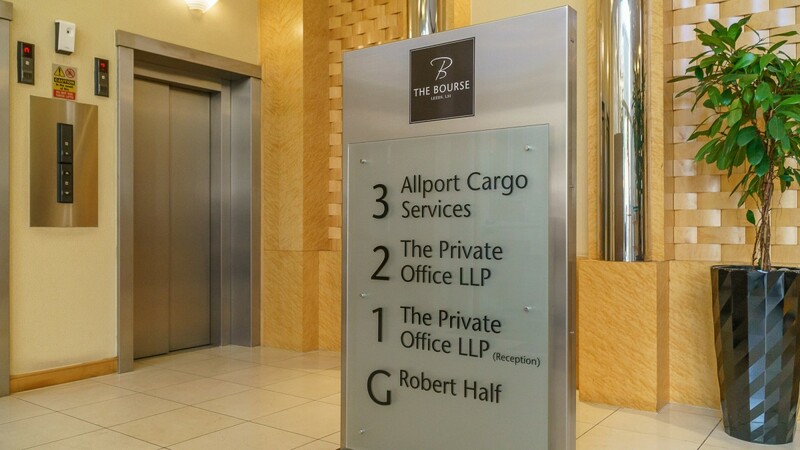 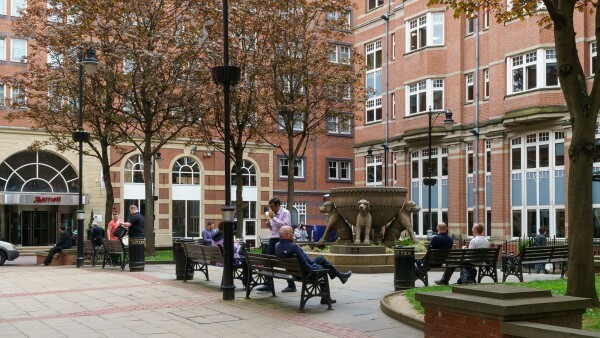 Nearby office occupiers include KPMG, BT, Pinsent Masons LLP, Delloitte LLP, UBS, Ernst & Young, Eversheds LLP and Bank of England as well as many other established national occupiers. 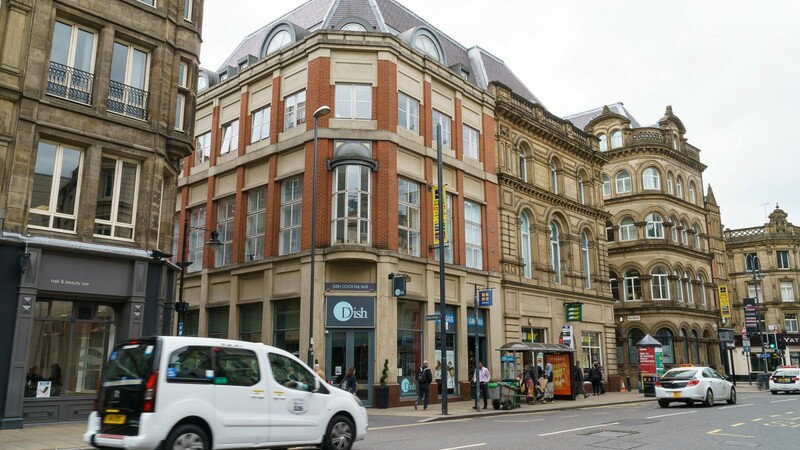 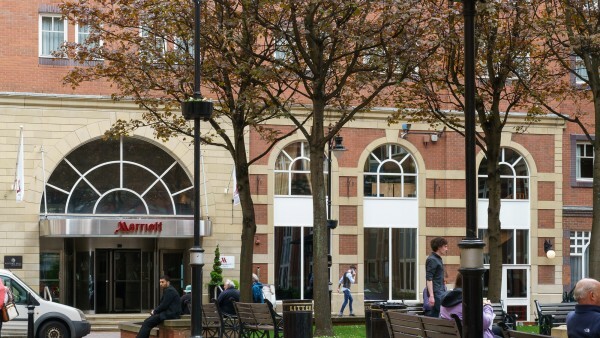 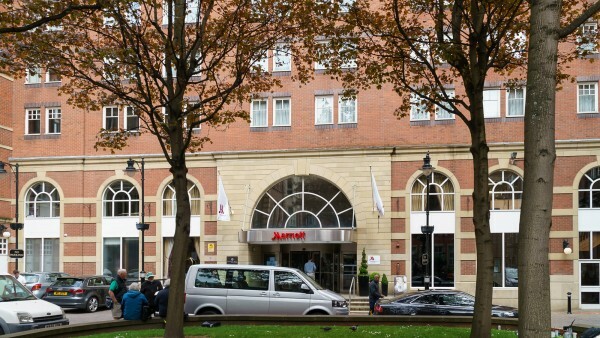 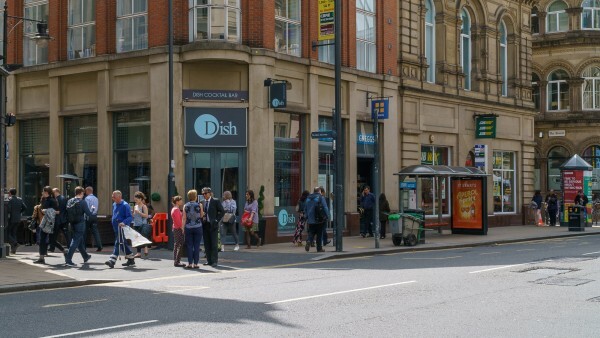 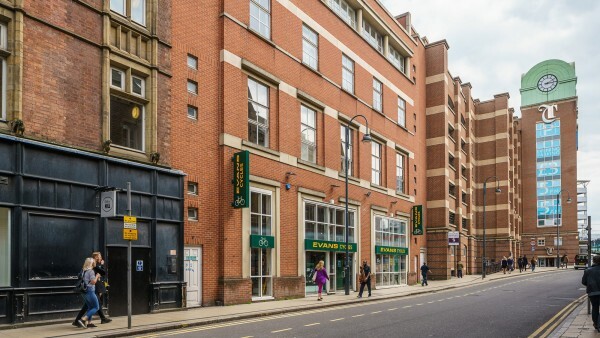 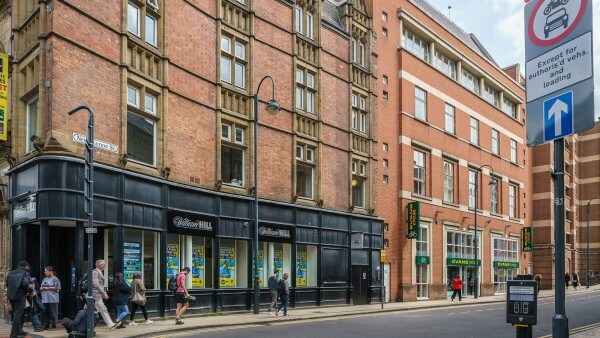 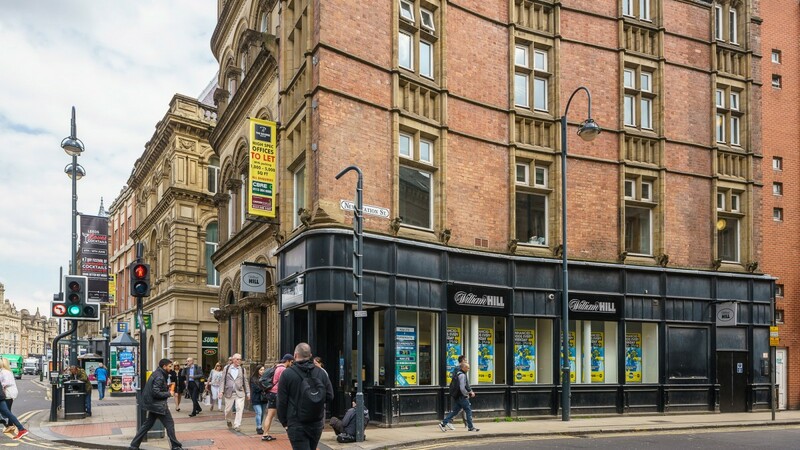 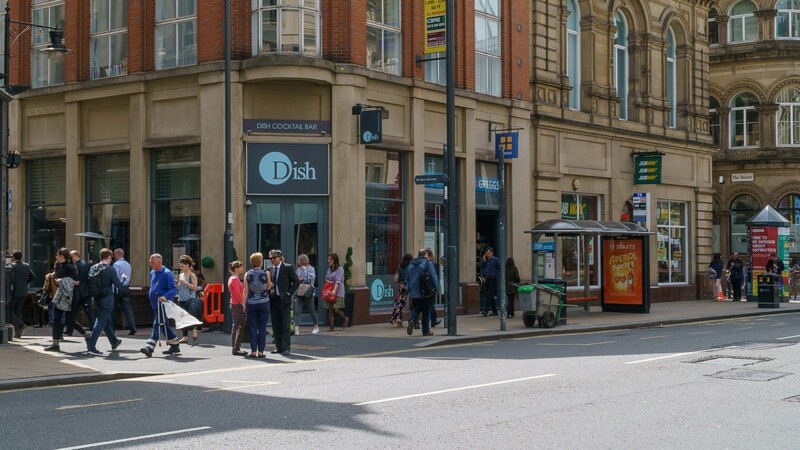 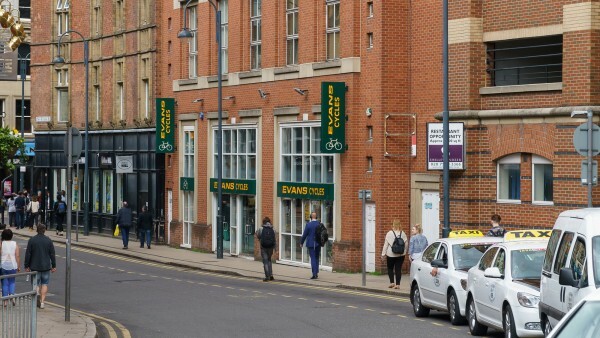 Being on the edge of the prime retail core, situated directly opposite the southern entrance to the Trinity shopping centre on Boar Lane, access to the best retailing and leisure amenities within the City Centre is excellent. The opening of Trinity in 2013 has transformed the street scene of Boar Lane. 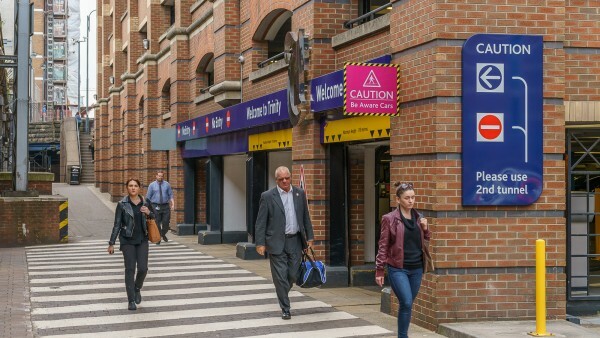 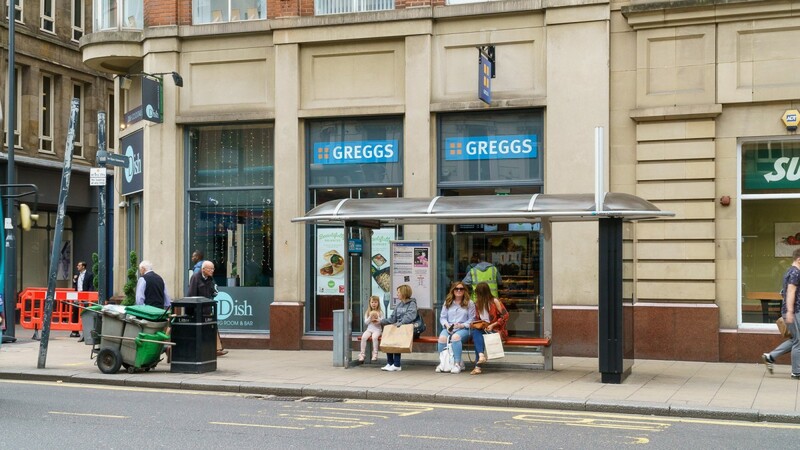 Transport connections are excellent being within a minute’s walk of Leeds City Station, a major transport hub within West Yorkshire and the north of England and an important commuter thoroughfare. 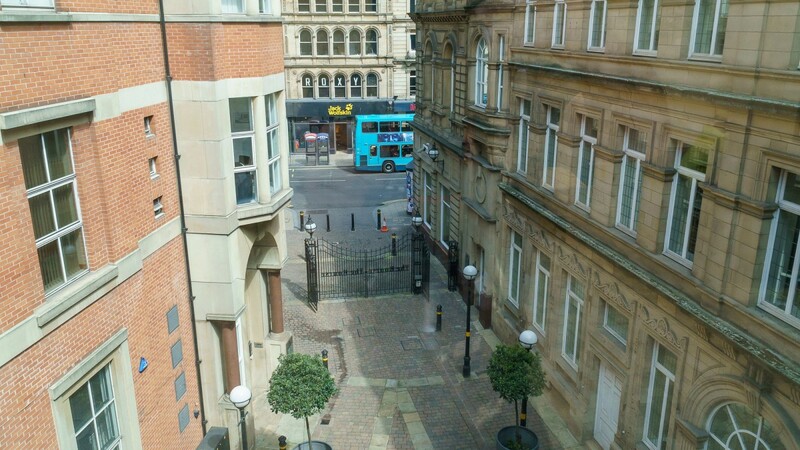 Boar Lane forms part of the City’s main bus route infrastructure and therefore public transport is well provided for within easy walking distance of the property. 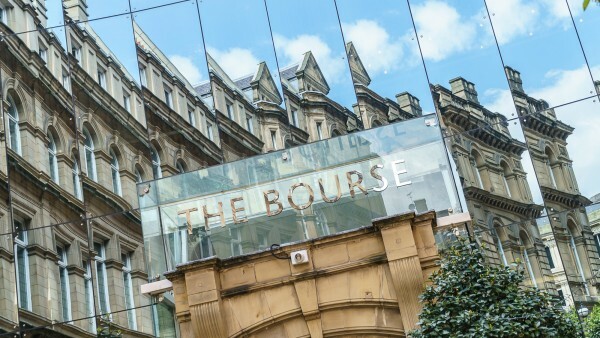 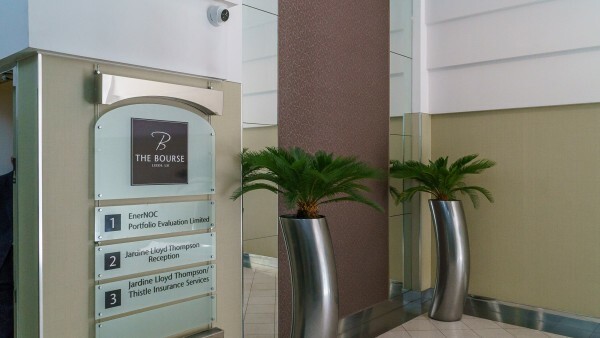 The Bourse is uniquely situated within 100m of both the station and the prime retail core, creating an attractive proposition for occupiers seeking to locate within the City Core. 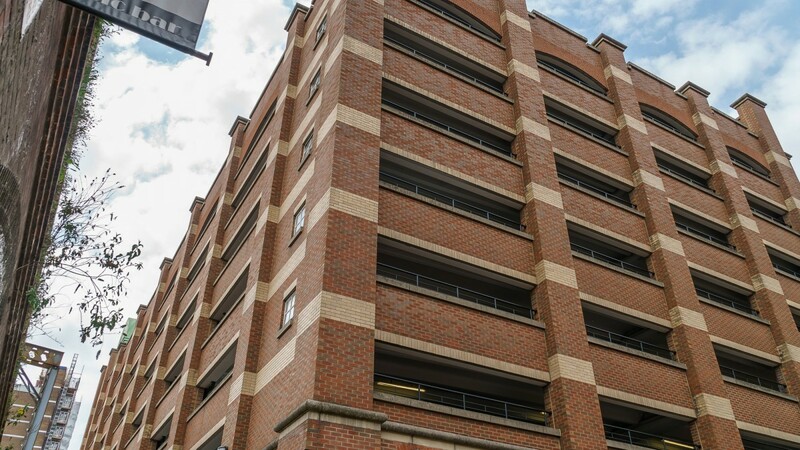 Car parking is provided within the Trinity Multi Storey Car Park immediately to the rear of the site which forms part of the title being offered for sale. 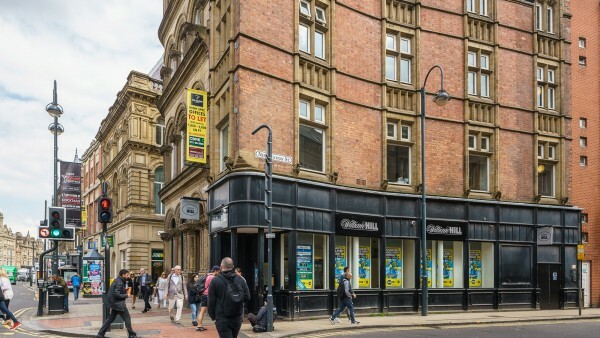 Leeds witnessed record take-up in the city centre during 2013, reaching 800,000 sq ft which is the highest level since records began pre-1990 and is significantly ahead of the ten year average of 504,000 sq ft .The market remains extremely buoyant. 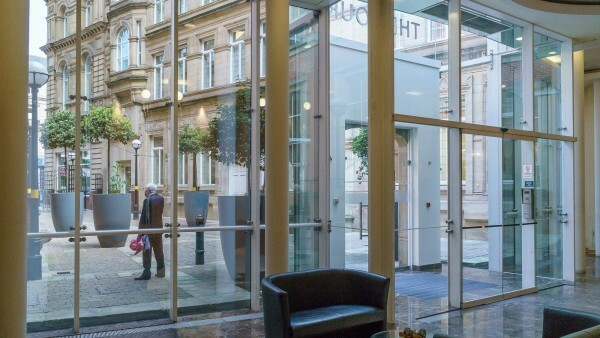 Many professional services occupiers are in acquisition mode as expansion and business growth come back on to the boardroom agenda. 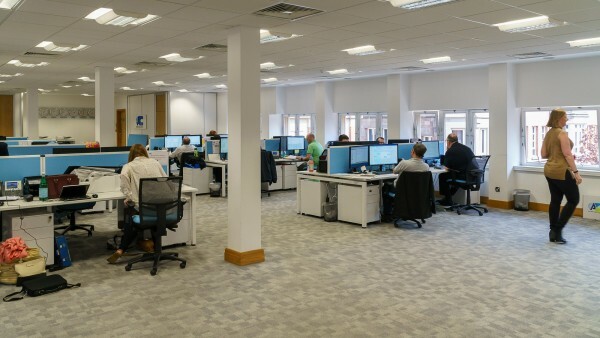 Take up in 2015 was 680,000 sq ft, whilst below the record figure for 2013, it is ahead of the 10 year average. We suggest that 2016 will continue to be dominated by pre-letting activity, a hardening of incentive packages and rental growth. 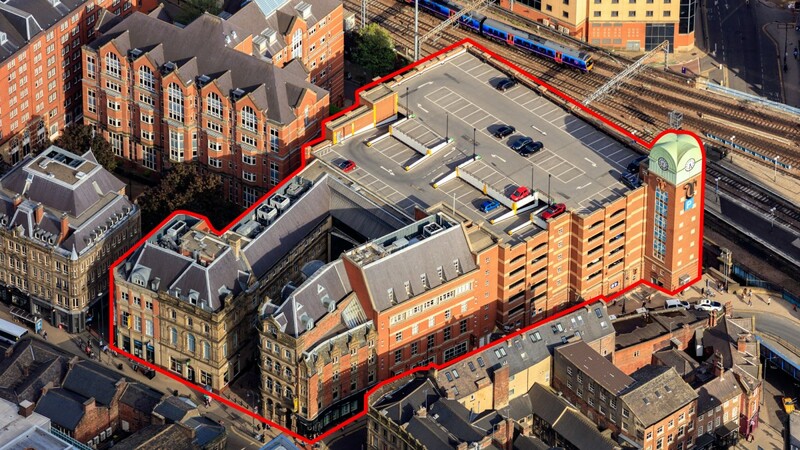 In terms of new competition, there are several new development scheme now on site which will be delivered in 2016, together with several high quality refurbishment schemes that have been completed in 2015. 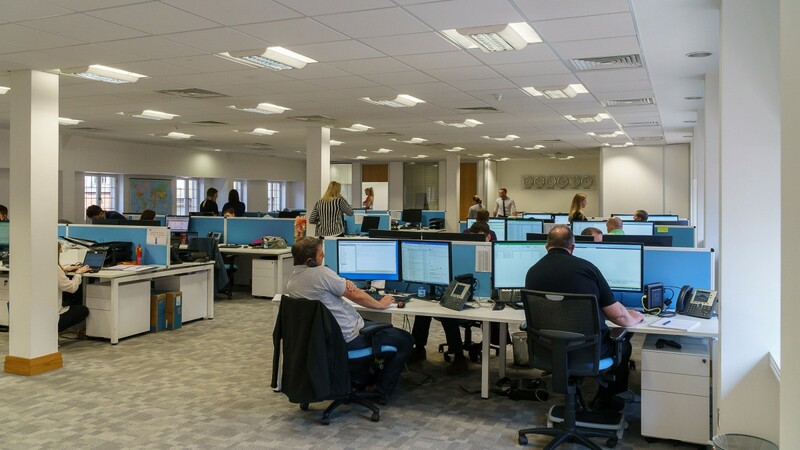 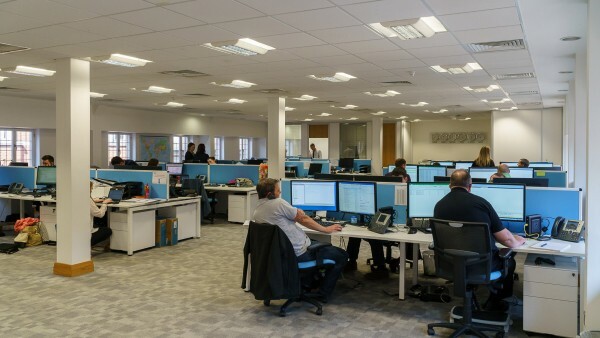 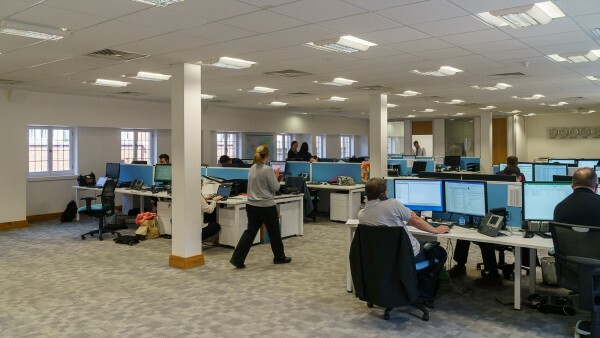 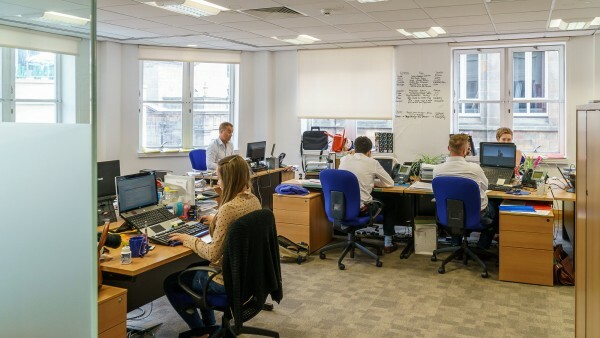 This new phase of activity underlines the confidence in the Leeds occupational market. Competing buildings within the surrounding area include Pinnacle (quoting £21.00 psf), 2 Bond Court (quoting £26.00 psf) Toronto Square (quoting £24.00 psf) and Hence, at £20.00 psf The Bourse provides high specification office accommodation at a price point not widely catered for in Leeds and lower than its immediate competition. 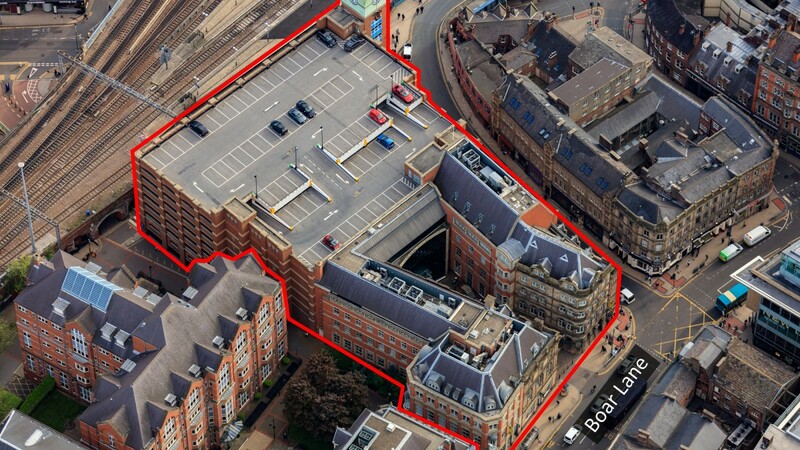 The graph below demonstrates that a significant proportion of letting activity within Leeds falls within the 4,000 sq ft category. The Bourse is aligned to meet this demand with its flexible floorplates and the ability to cater for requirements from as small as 627 sq ft. 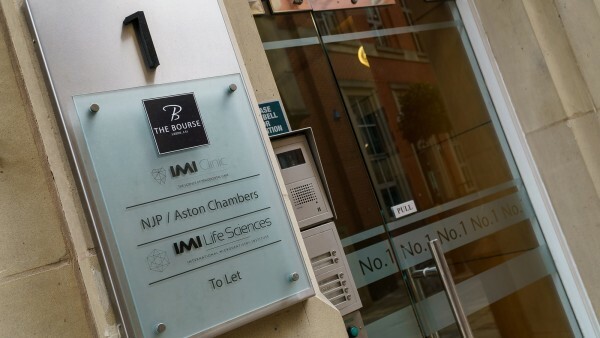 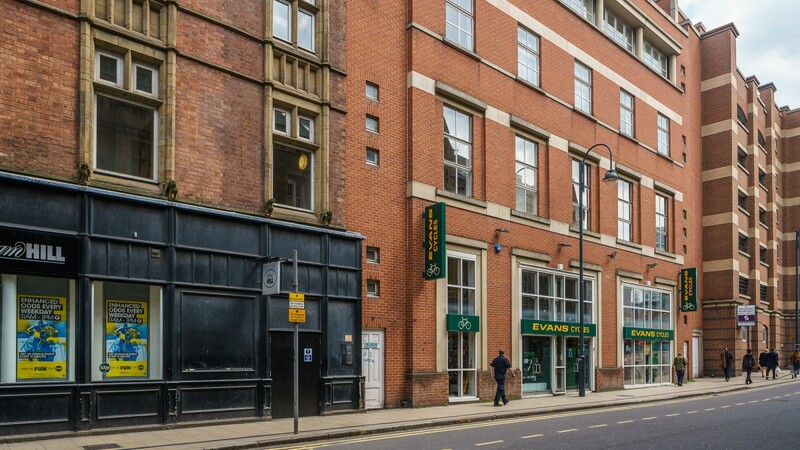 The property is a courtyard development of three self-contained buildings comprehensively redeveloped behind its Grade II Listed facades in 1993, to provide modern office accommodation with a small amount of retail and leisure accommodation fronting Boar Lane and Newstation Street. 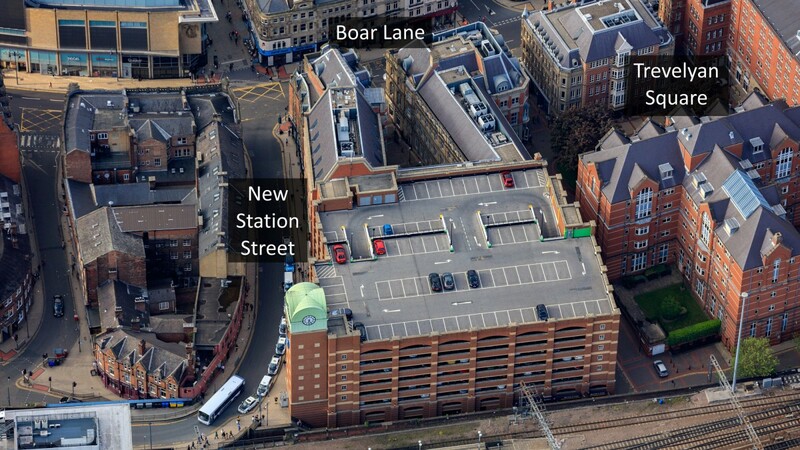 The scheme comprises; Equity House (No1); Sterling House (No2) and Bond House (No.3) and incorporates The Trinity Car Park within the title offered for sale. 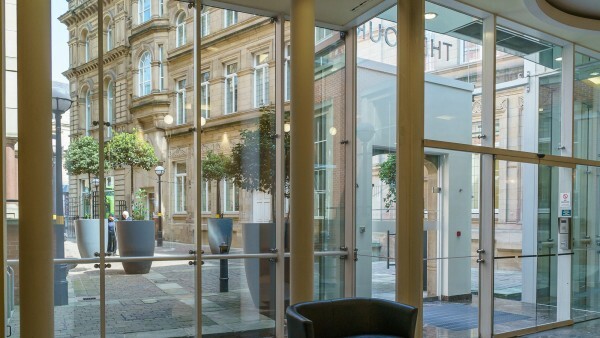 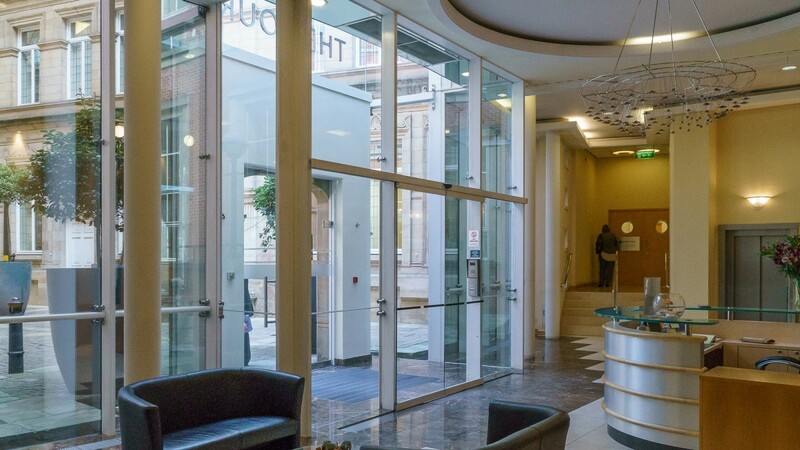 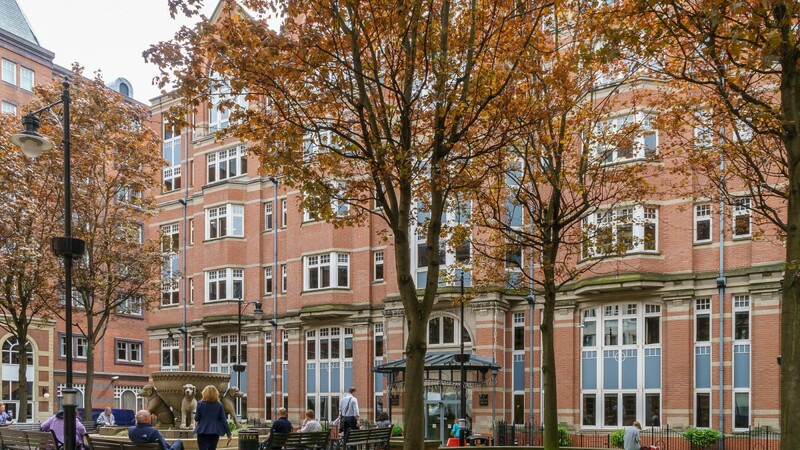 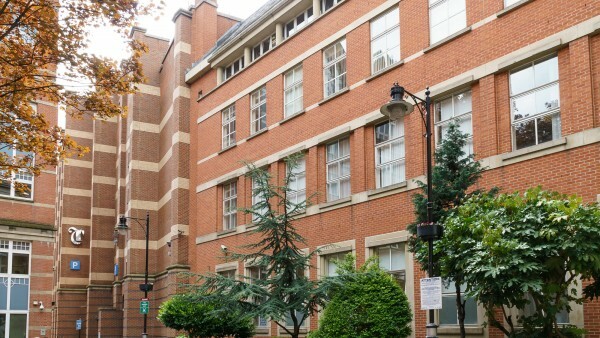 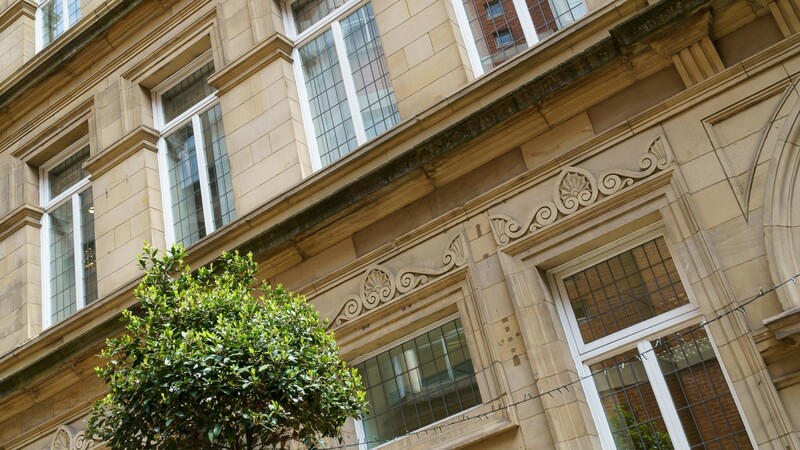 Situated to the left hand side of the courtyard, Equity House has the benefit of an attractive Grade II Listed facade with frontage to Boar Lane and Trevelyan Square. 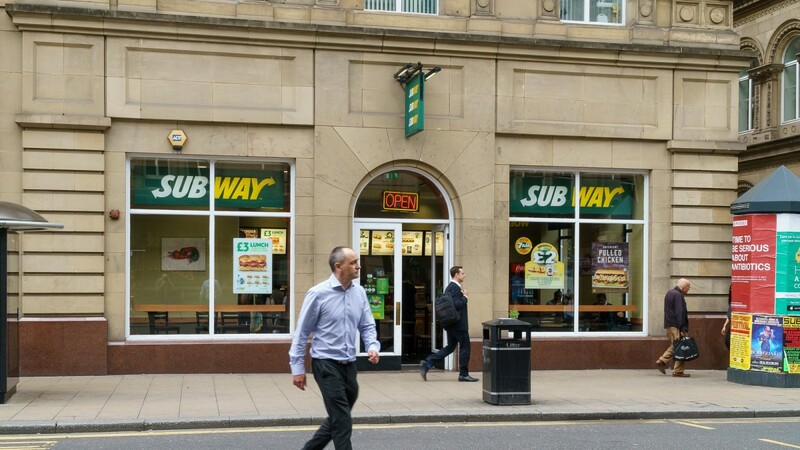 The building provides 3 retail units at ground floor, occupied by Subway, Greggs and Dish. The latter operates as a bar/restaurant with additional accommodation at lower ground level. 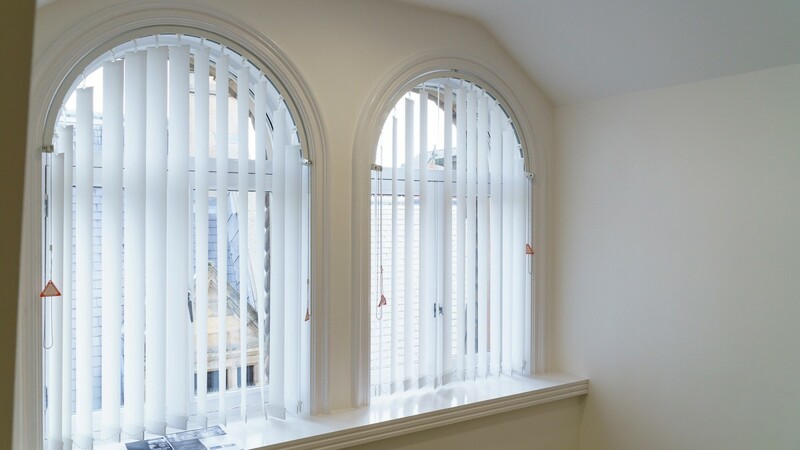 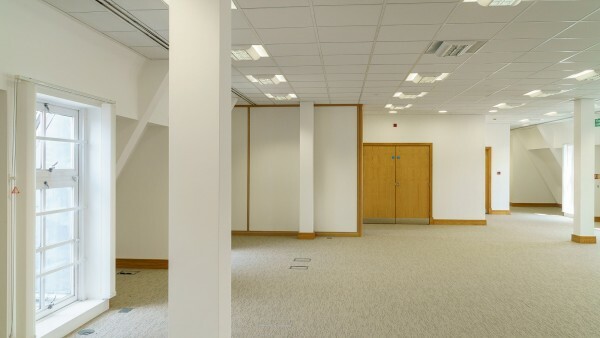 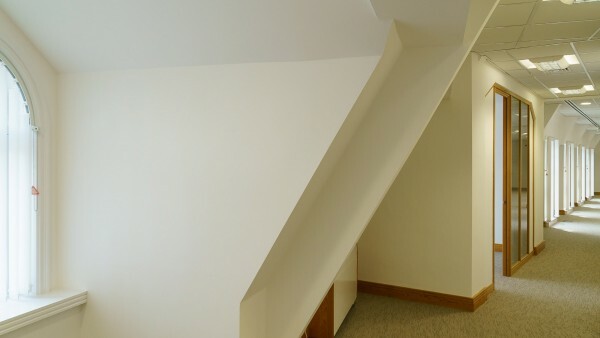 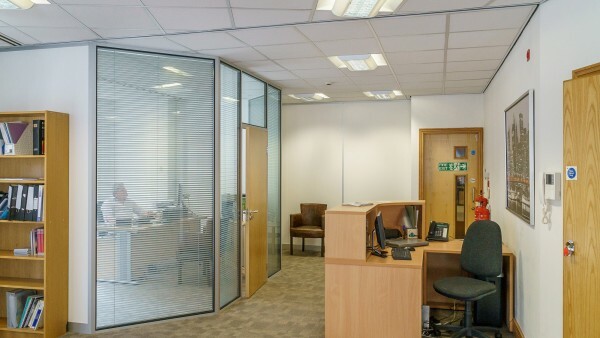 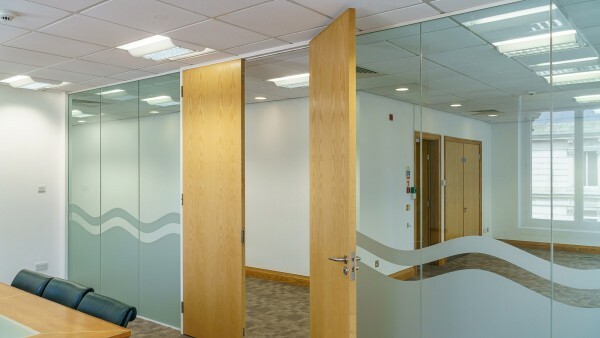 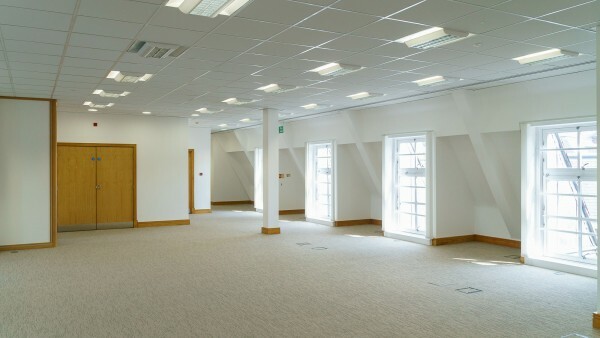 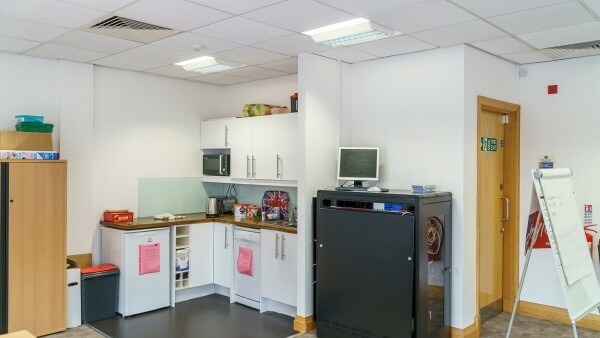 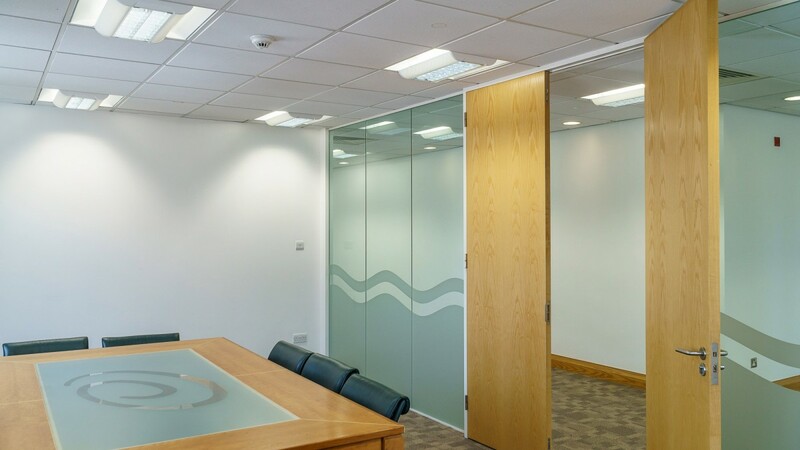 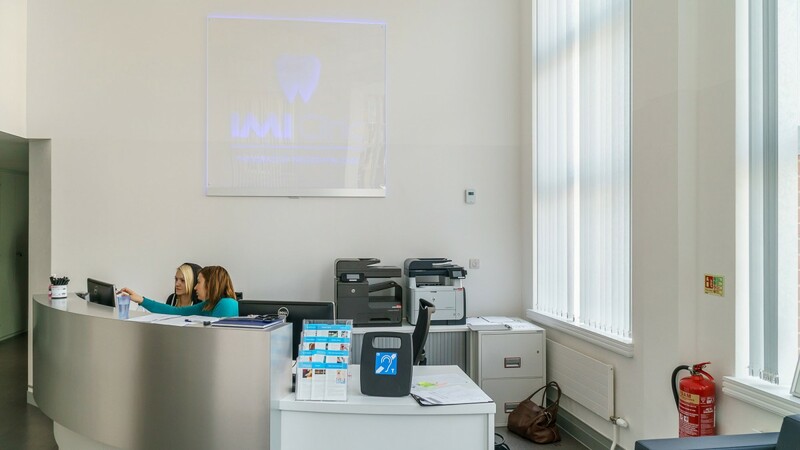 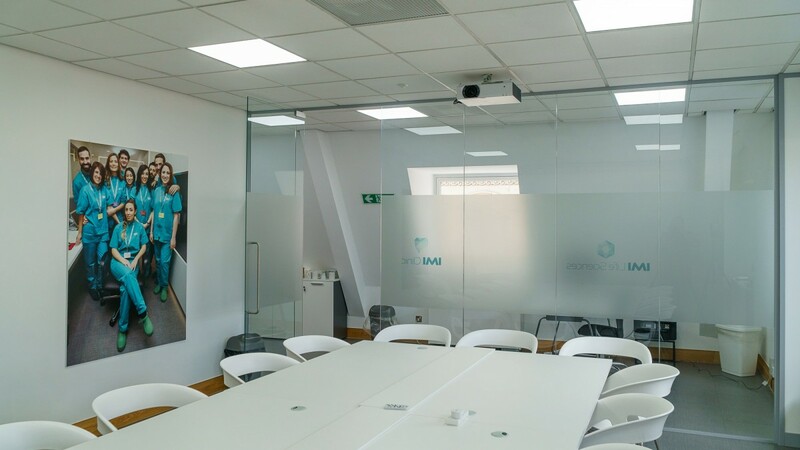 Office accommodation is provided at first to third floors providing attractive, modern space with some period features. 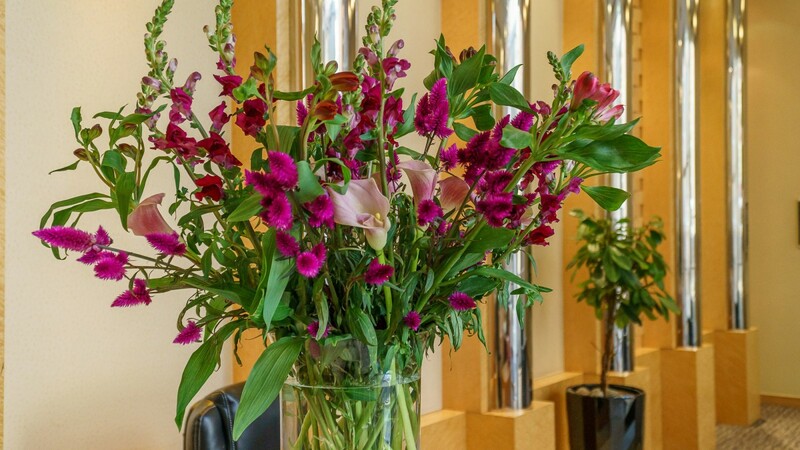 It is accessed from a bespoke entrance foyer from the courtyard. 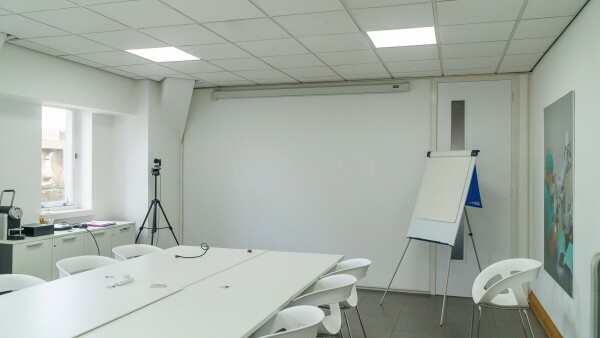 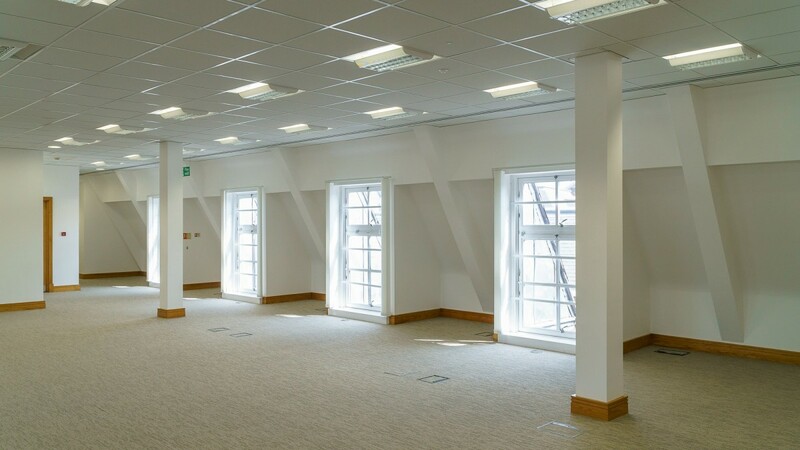 The specification includes full accessed raised floors, suspended ceilings incorporating recessed lighting and four pipe fan coil air conditioning. Each floor has its own WC facilities and is accessed via a single eight person passenger lift. 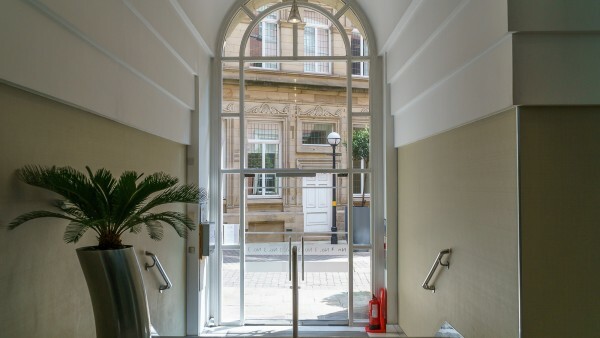 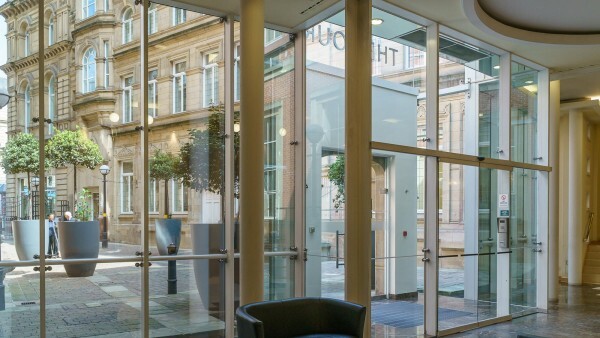 Prominently situated to the rear of the courtyard, Sterling House has a striking facade with a full height ‘feature’ mirrored glazed curtain wall, incorporating a stone portico. 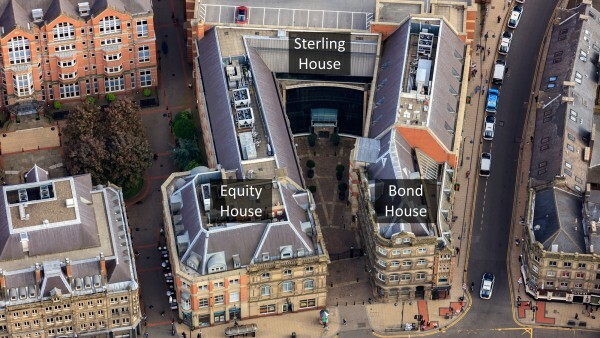 Sterling House forms the focal point of The Bourse and is recognised as one of the City’s iconic buildings. 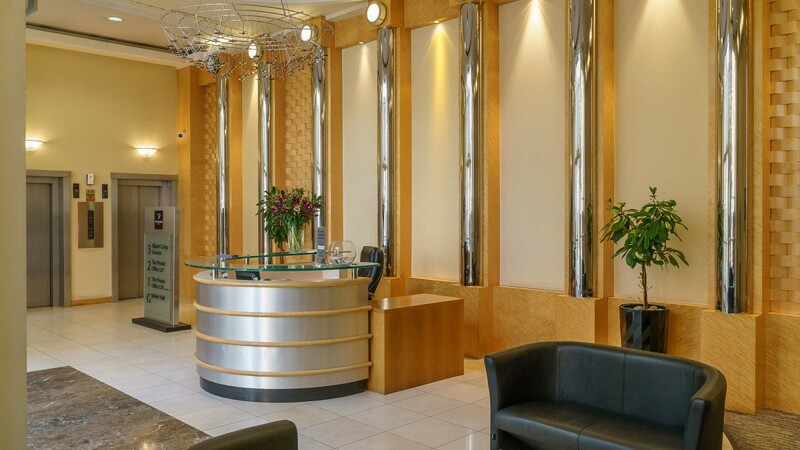 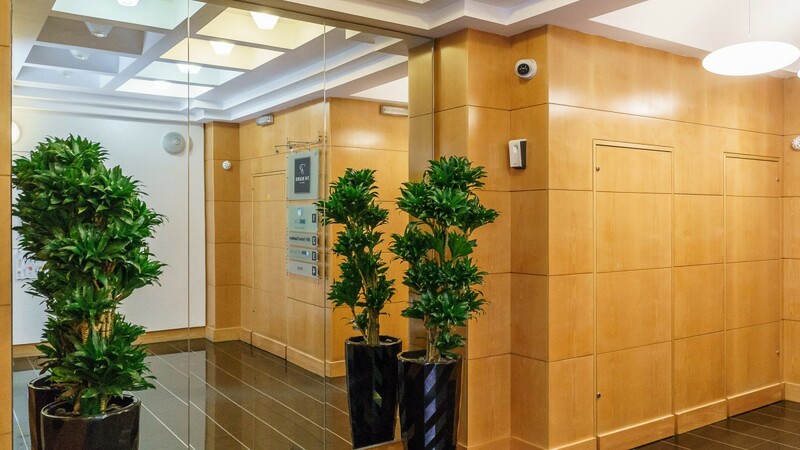 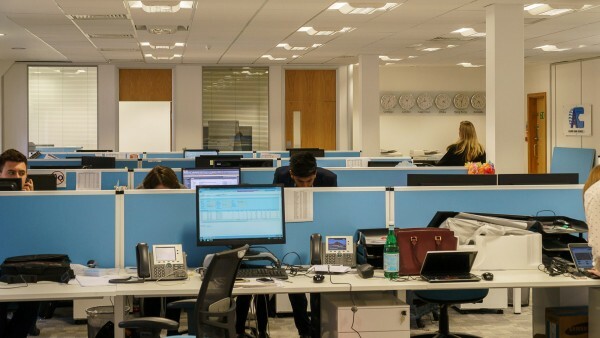 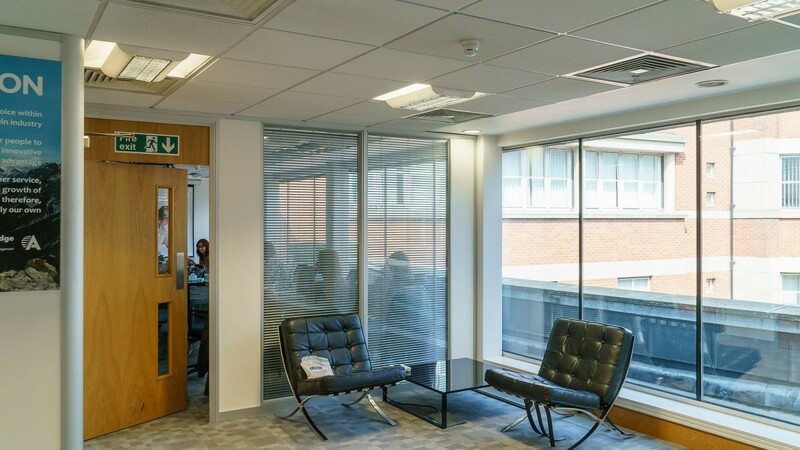 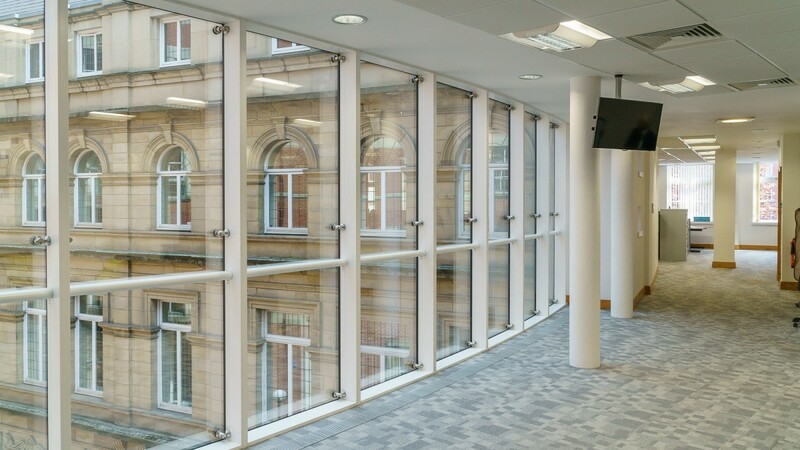 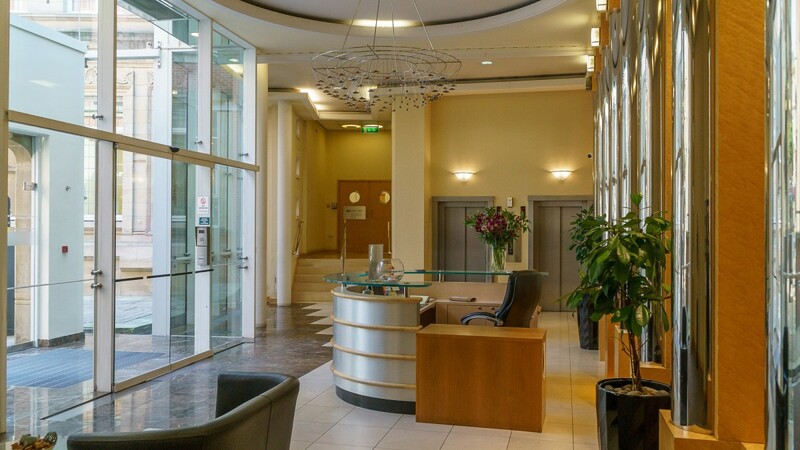 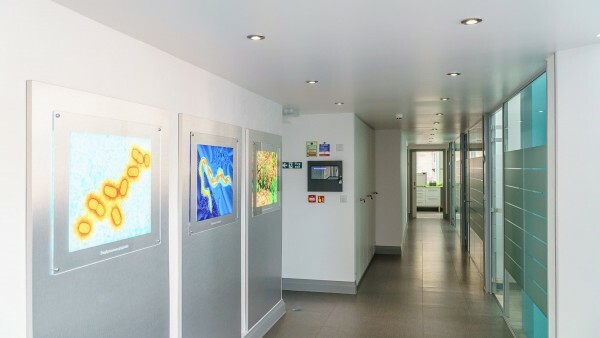 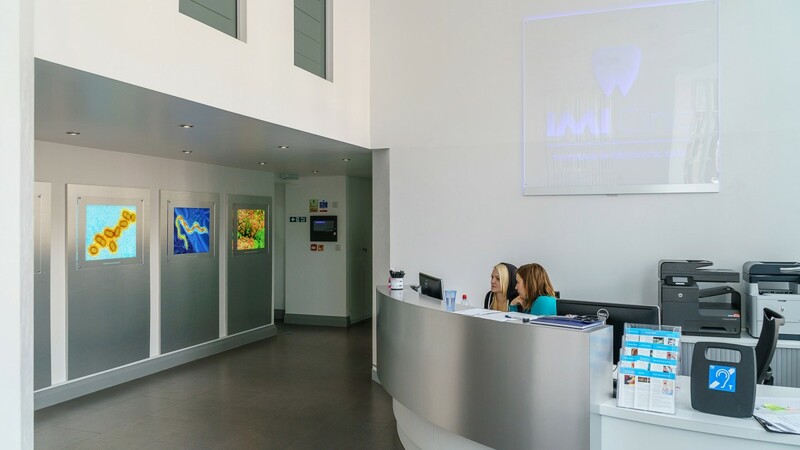 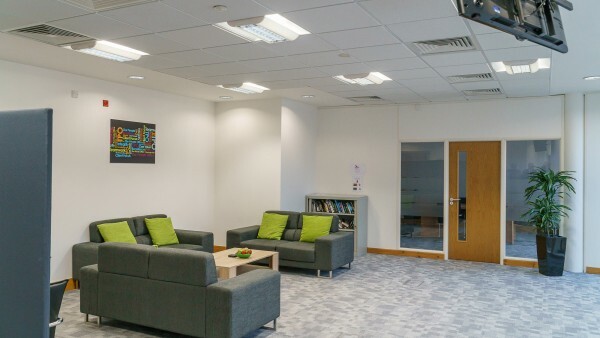 Sterling House is a five storey office building, providing accommodation at Lower Ground to Third Floor with access via a spacious staffed reception area. From First to Third floors the offices are arranged in an ‘L’ shape with direct controlled access to each floor by lift. 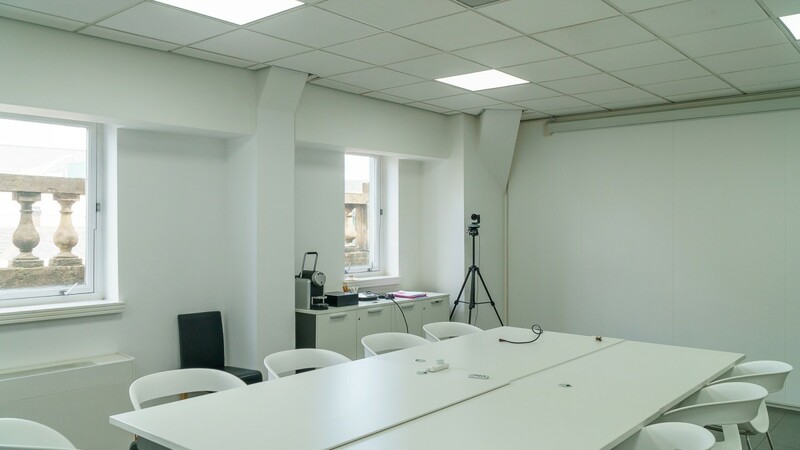 The office accommodation is of modern construction; the specification includes; full accessed raised floors; suspended ceilings incorporating recessed lighting and four pipe fan coil air conditioning. 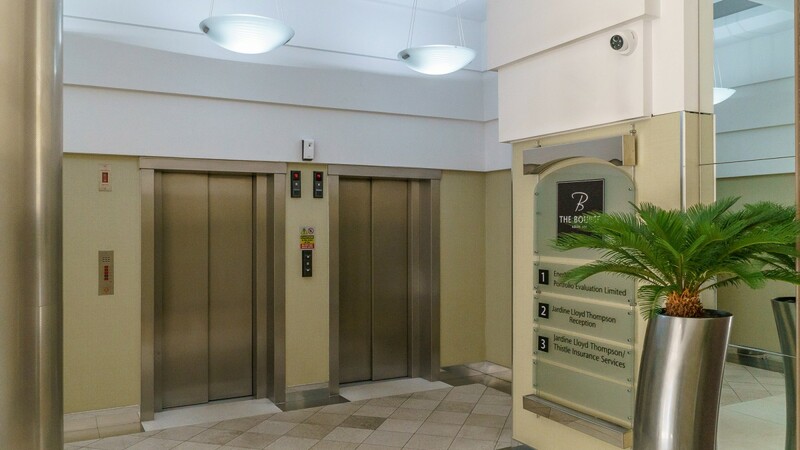 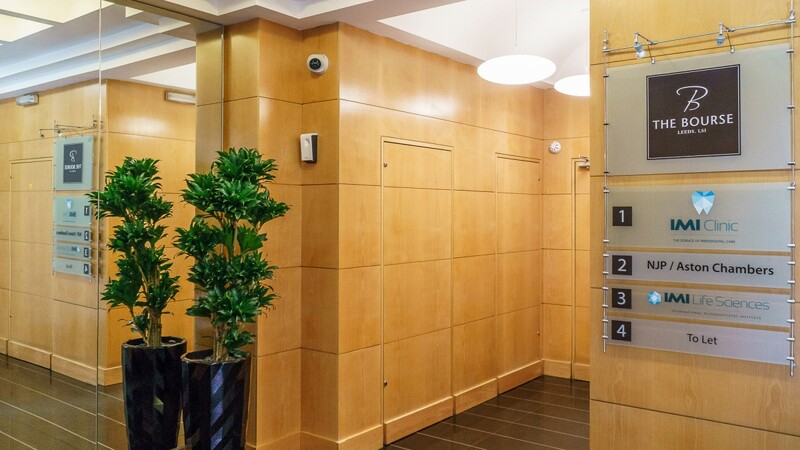 Each floor has its own WC facilities and is accessed via two eight person passenger lifts. 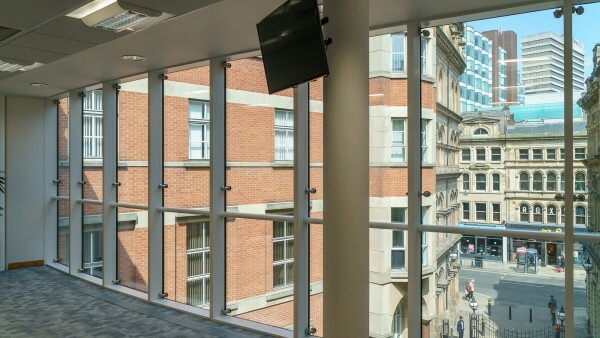 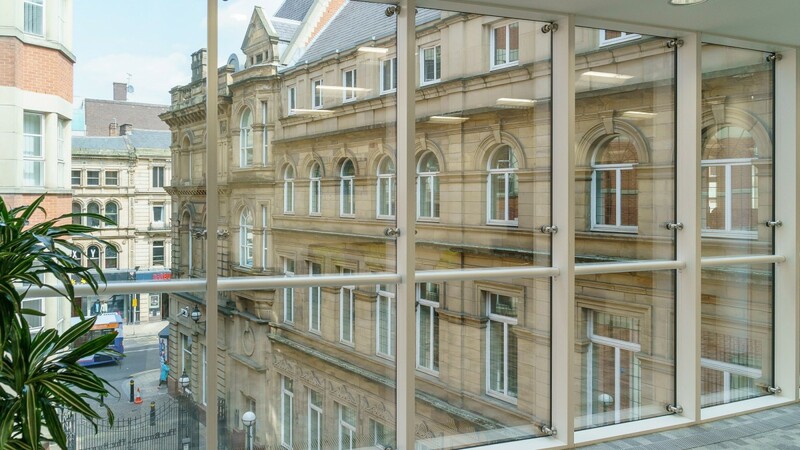 Situated to the right hand side of the courtyard, Bond House has the benefit of an attractive Grade II Listed facade with frontage to Boar Lane and Newstation Street. 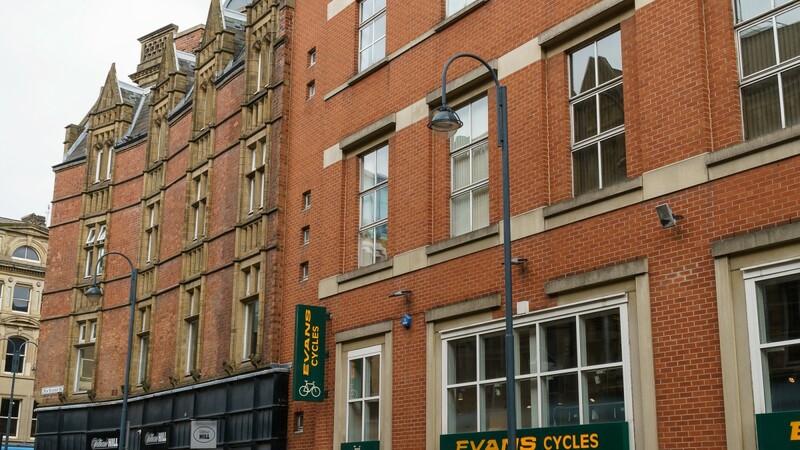 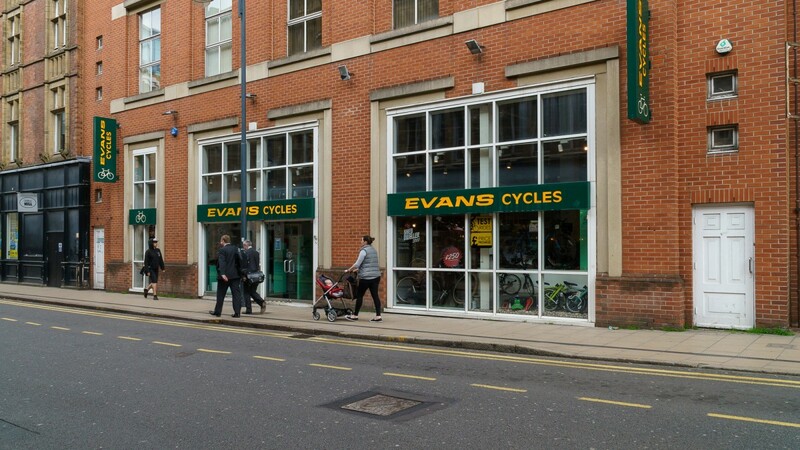 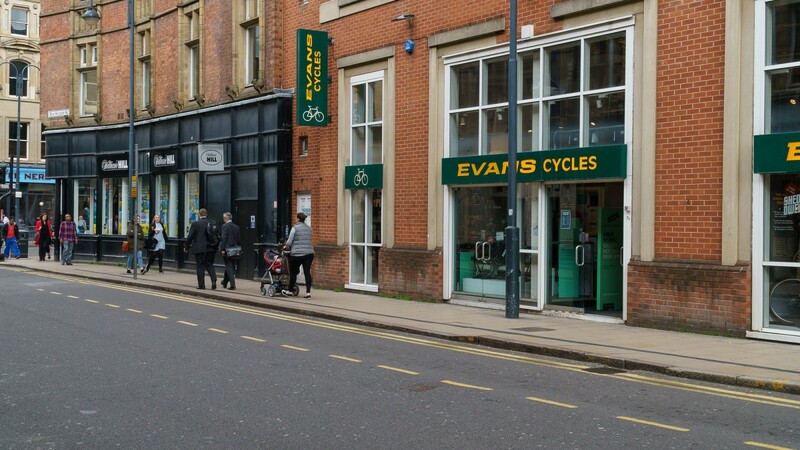 The building provides 2 retail units at ground floor which are occupied by Evans Cycles and William Hill. 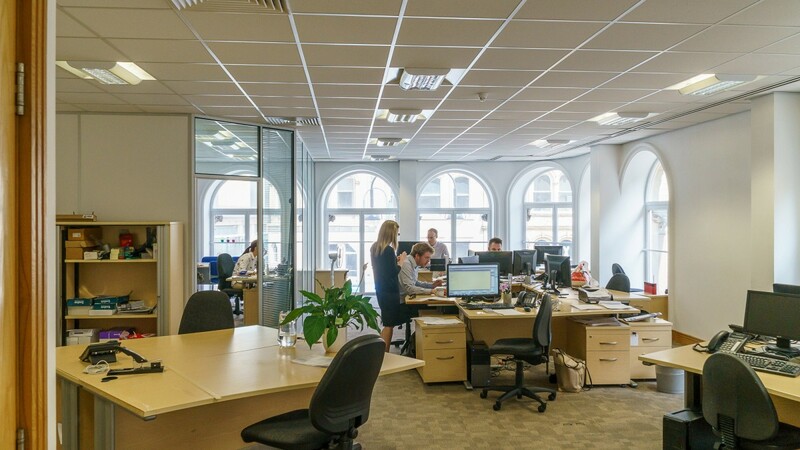 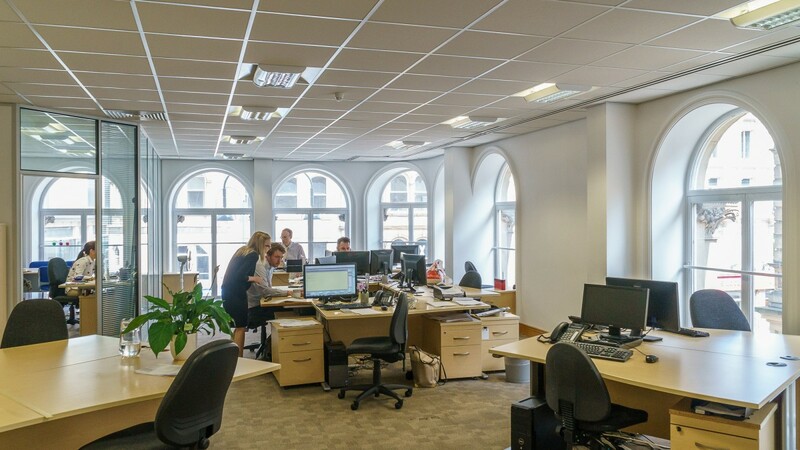 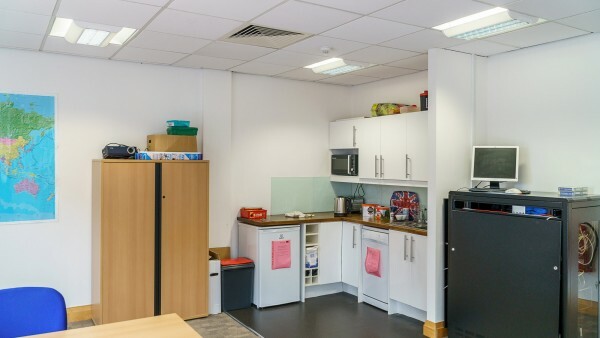 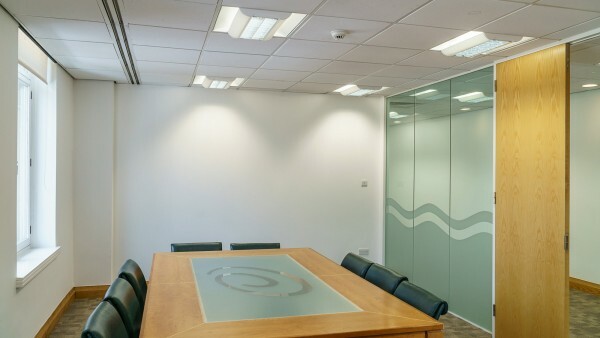 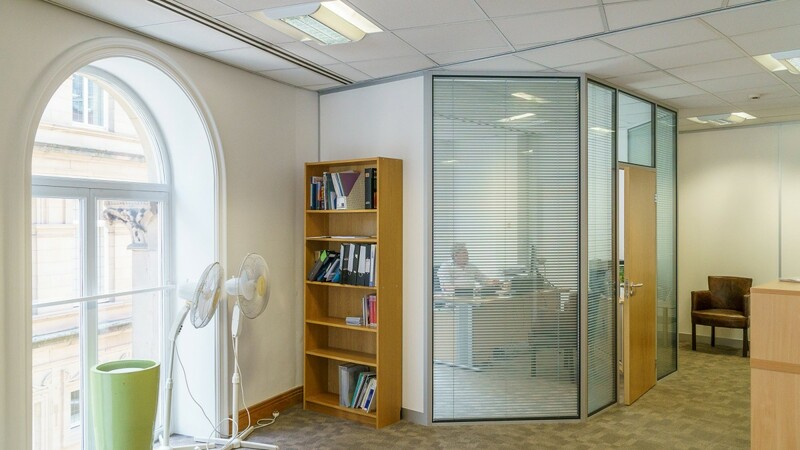 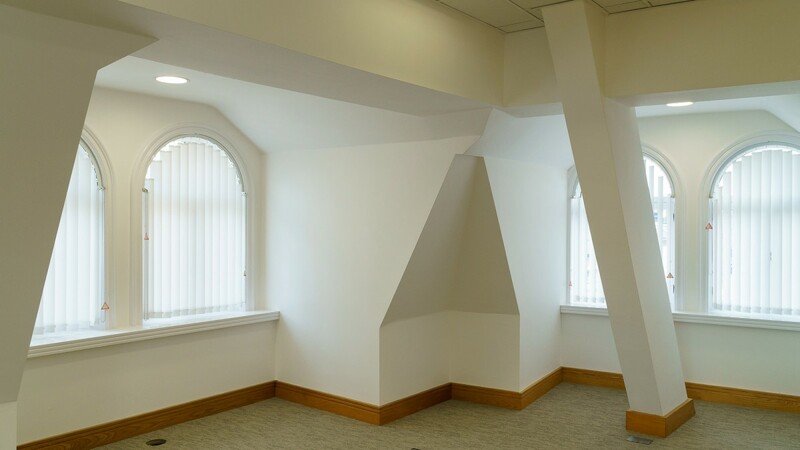 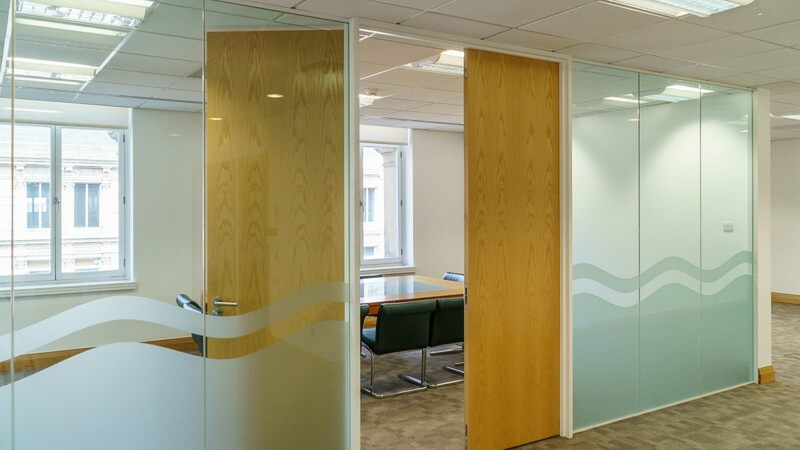 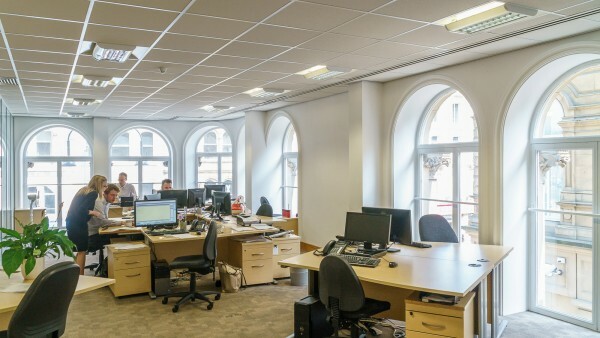 Office accommodation is provided at first to fourth floors, providing attractive office accommodation with a mixture of modern services and period features. Access is from a bespoke entrance foyer from the courtyard. 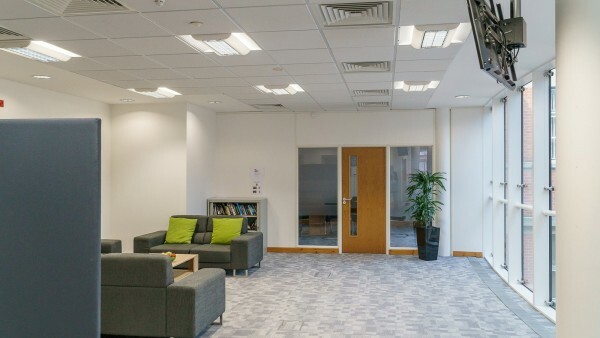 The specification includes full accessed raised floors, suspended ceilings incorporating recessed lighting and four pipe fan coil air conditioning. Each floor has its own WC facilities and is accessed via two eight person passenger lifts. Within the three buildings, various refurbishment works have been undertaken to individual office suites by the vendor as they have become vacant. 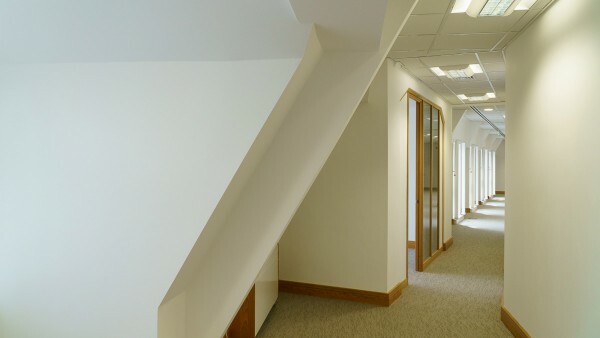 The third floor within Equity House is currently being refurbished at a budgeted cost of £15,000, which is £12 per sq ft. 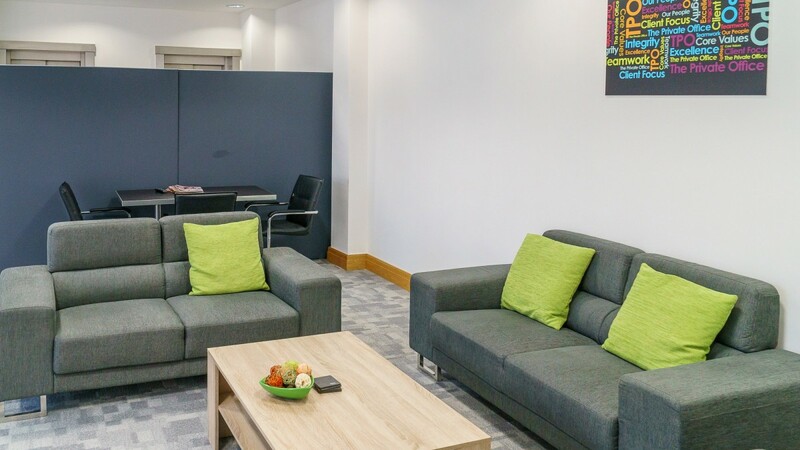 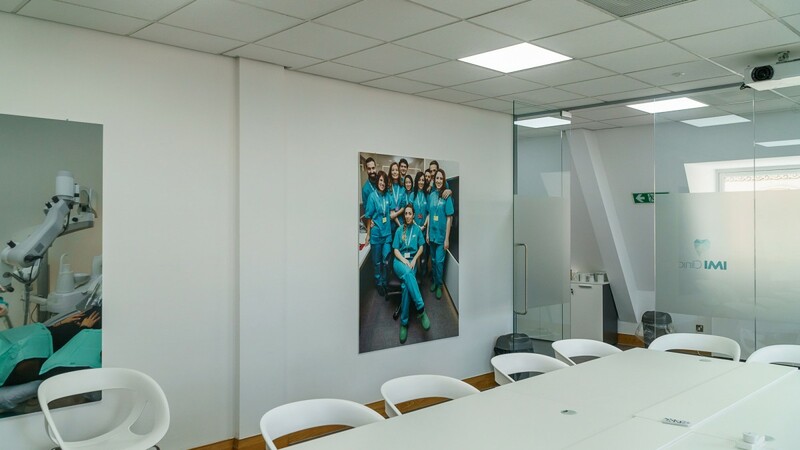 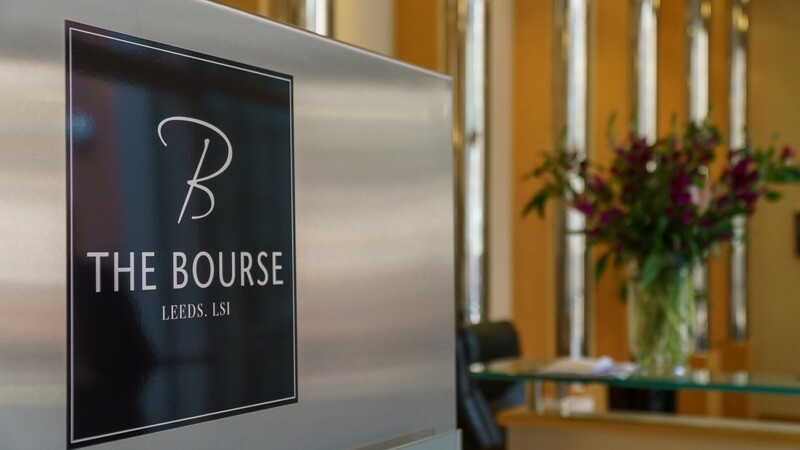 The 4th floor of Bond House was refurbished in October 2014 at a cost of £32,293 (£12.57 per sq ft), whilst part of the 2nd floor of Equity House was part refurbished and split in April 2015 at a cost of £12,475 (£8.36 per sq ft). 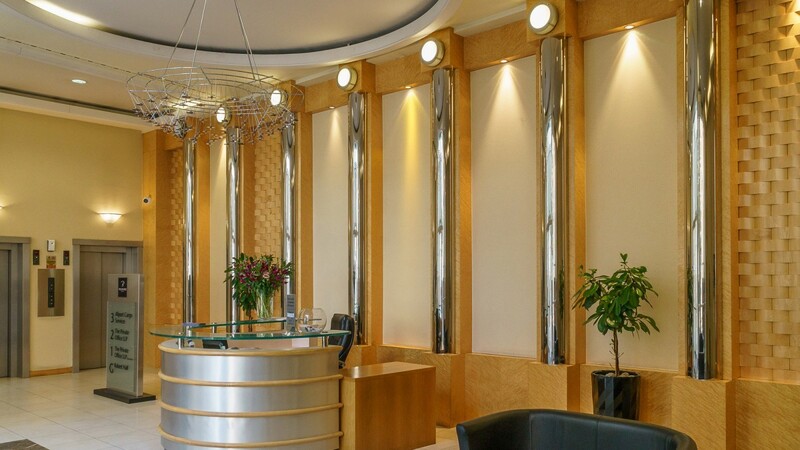 The certificates of payment are available to download. In addition, M&E upgrades have been completed with all of the chiller units having been replaced, together with the majority of the fan coil units, thereby reducing future capital expenditure requirements. 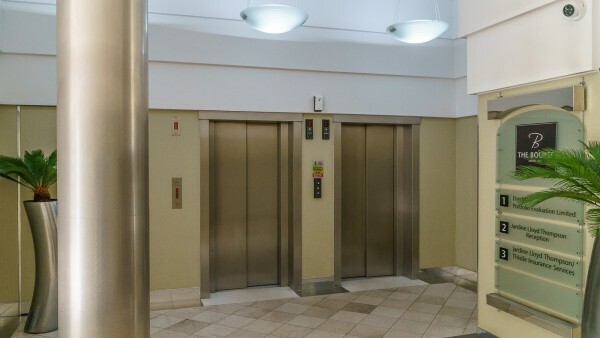 A report of May 2016 by Dunbar and Boardman Escalators, which is available to download and will be assigned to a purchaser, outlines recommended future expenditure to the lift equipment. 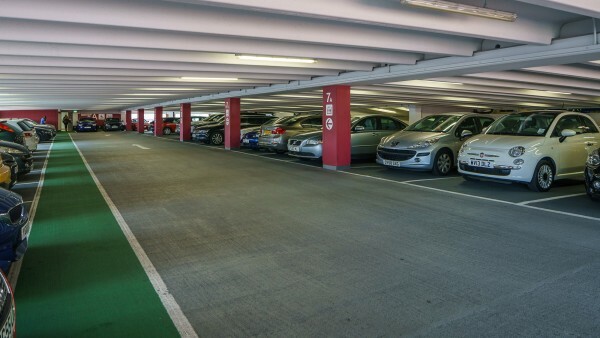 A Mechanical & Electrical Condition Survey was carried out by Cushman & Wakefield in June 2016 which is available to download and will be assigned to a purchaser. 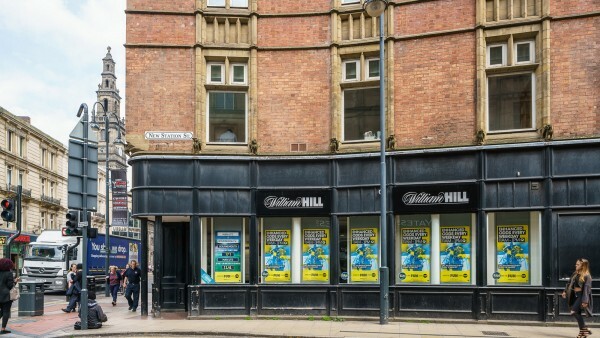 Due to it being Grade II listed, the property is not liable for empty rates. 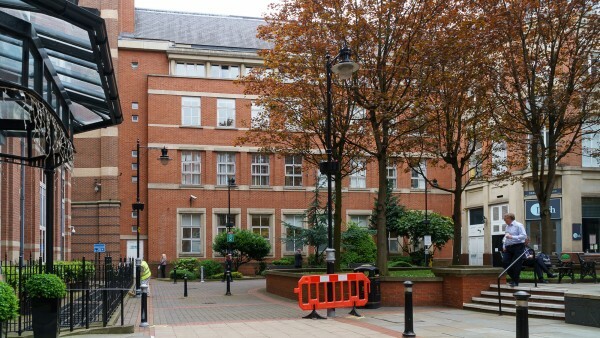 An Environmental Desk Study was carried out by WSP in May 2016 concluding that “the site represents a low risk with respect to contaminated land liability issues”. A copy of this report is available to download and is available for assignment to a purchaser. 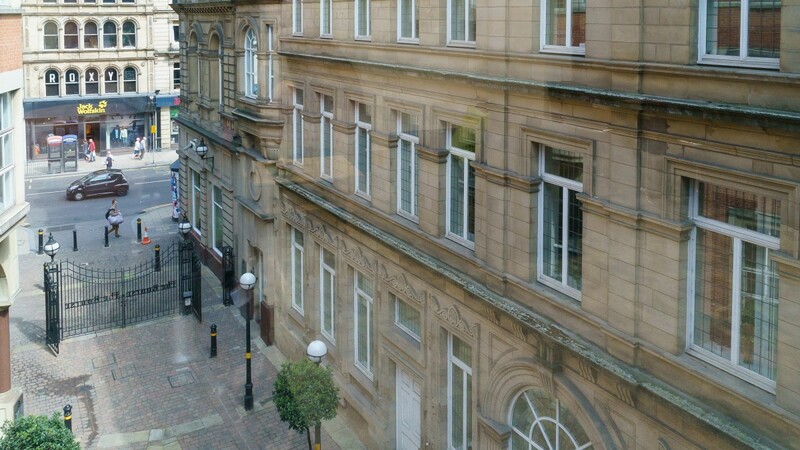 The property is held long leasehold for a term of 999 years from 4th June 1993 at a fixed ground rent of £10.00 per annum. The lease includes an option to purchase the freehold for £1 at any time after 4th June 2043. 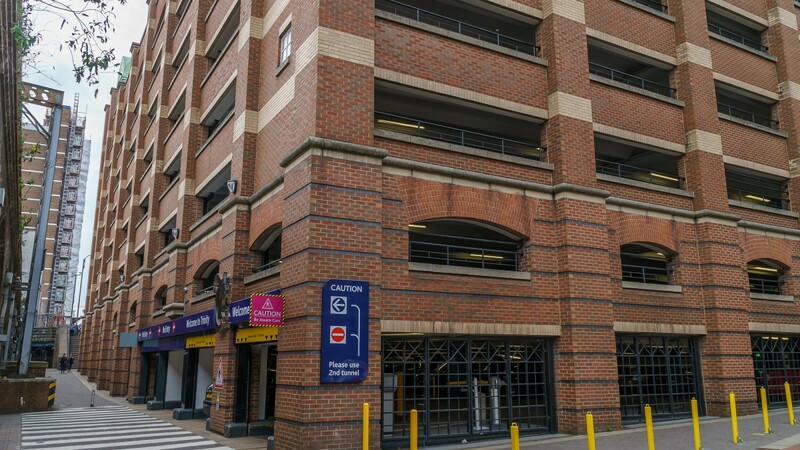 The multi storey car park is under let to Land Securities for a term of 150 years from 4th June 1993 at a fixed ground rent of £10 per annum. 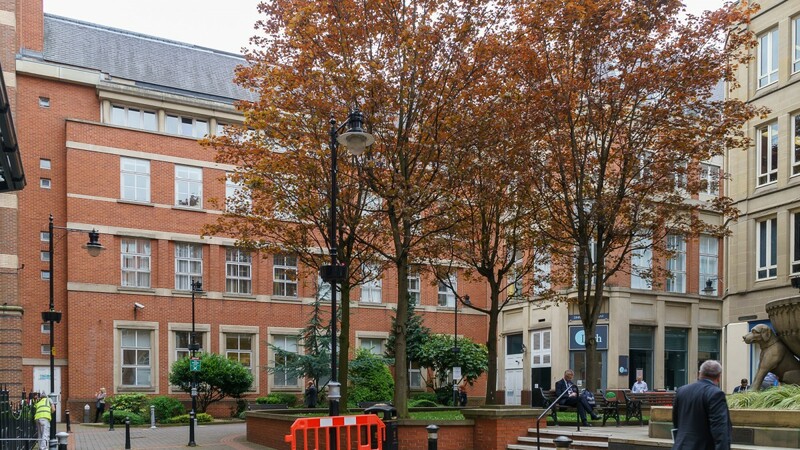 Under the terms of the lease, 50 spaces are to be made available for use by the freeholder of Trevelyan Square. The cost of providing the 50 spaces is borne by the head lessee (the vendor) of The Bourse and is currently running at £1,300.55 per space per annum, subject to an annual increase of 2% - hence an outgoing of £65,027.50 per annum. In addition the head lessee (vendor) leases back 60 spaces within the car park for a term of 150 years less one day from 4th June 1993 at a current rent of £1,300.55 per space, subject to an annual increase of RPI subject to a minimum of 2% per annum until review in June 2023 – hence a rental liability of £78,033 per annum. At the June 2023 review, the current rent calculation on the 60 spaces allocated to The Bourse is replaced by a ‘market rent’ based on 90% of a 3 month parking contract per space for each of the 110 spaces, subject to annual review. The current price of a three month contract is £450 per space per quarter which would mean a rental liability of £1,620 pa per space. The headlease also includes a small section of land to the south of the main site which accommodates a substation. 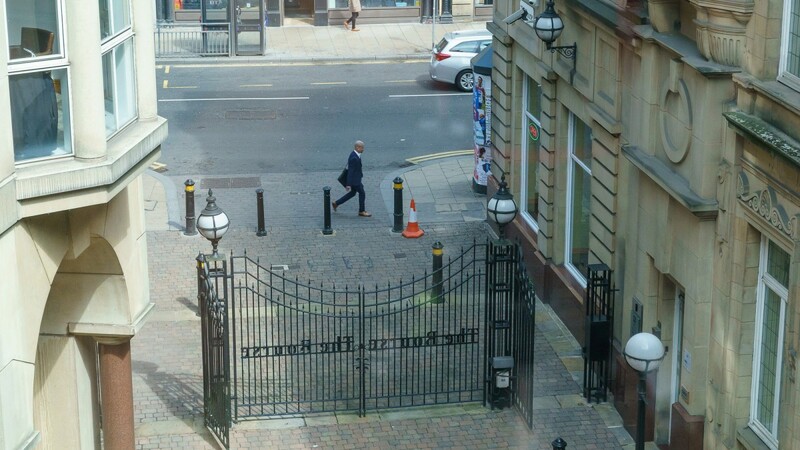 An archway giving access to an electricity substation is leased from Network Rail for a term of 125 years from 8th January 1990 at a passing rent of £5,500 per annum, subject to 5 yearly reviews. 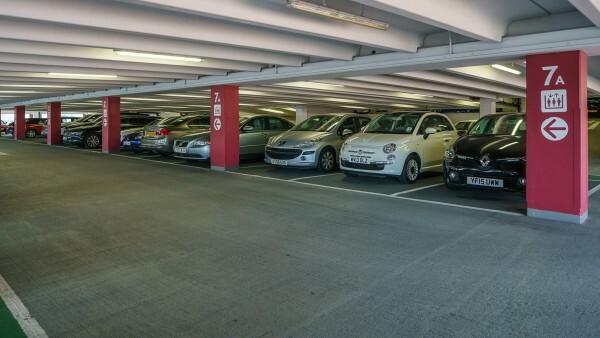 In summary, the total rent paid by the head lessee (vendor) is £83,533 per annum (£78,033 plus £5,500); the total cost to providing the car parking for the Trevelyan Square freeholder is £65,027.50 per annum; the ground rent is £10. Hence, the total outlay is £148,570.50 per annum. 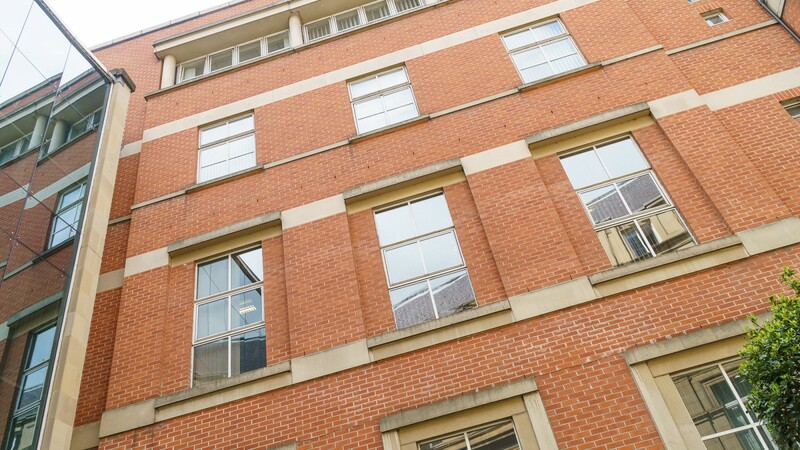 The property is currently let to 14 tenants, producing a gross rent of £919,190 per annum. In addition, our client will provide a rent and service charge guarantee in respect of the three vacant suites (one being under offer), resulting in an investor benefitting from a Gross Income of £1,005,558 per annum. 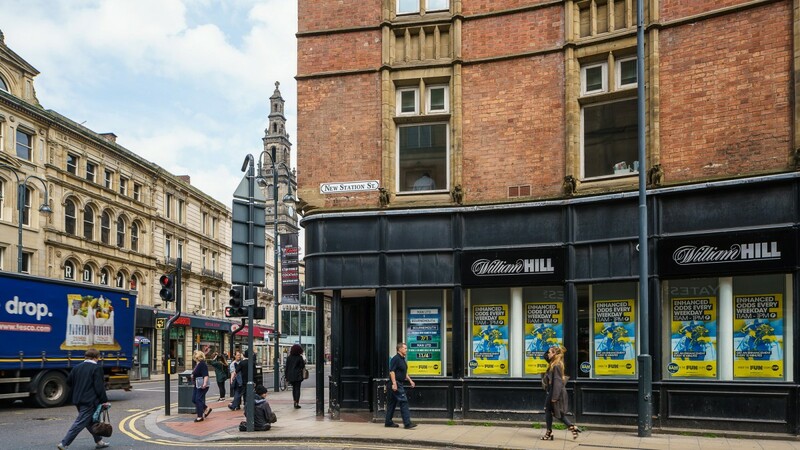 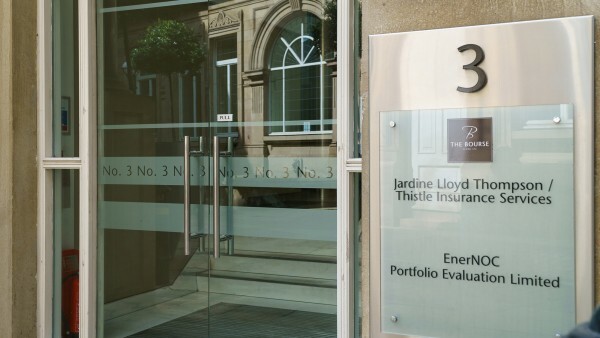 Approximately 52.5% of the income is secured against the five main tenants; JLT Corporate Risk, The Private Office, Evans Cycles, Allport Cargo Services and William Hill. In accordance with the attached schedule, we estimate the open market rental value for the property to be £1,106,498 per annum. 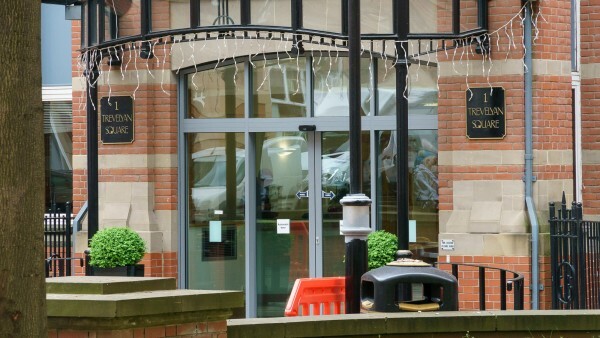 The service charge budget for 2016 is £341,003. The Service Charge Accounts and the Service Charge Budgets are available to download. 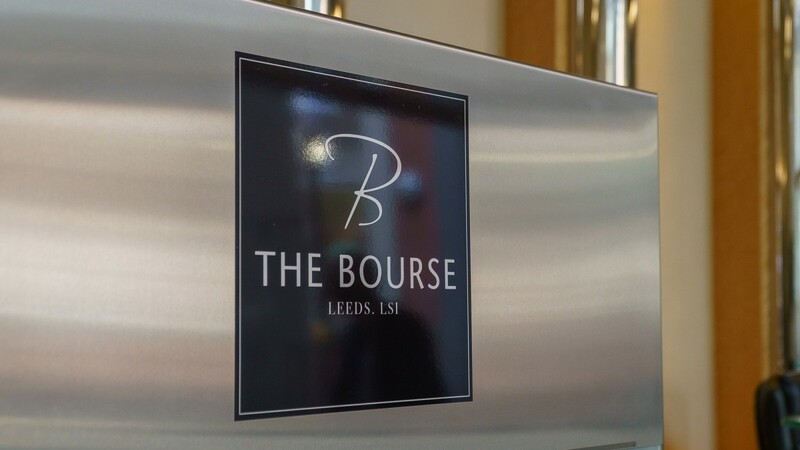 Please see the Service Charge Table, available for download, which explains the anticipated service charge shortfall for 2016 of £81,827. 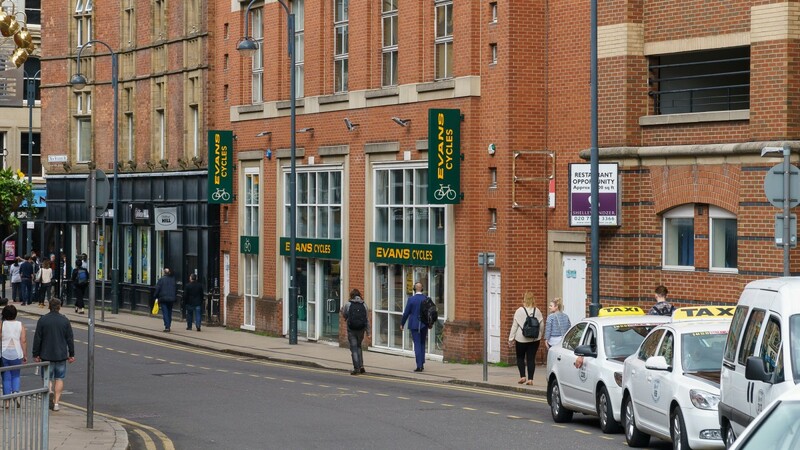 Please note that the service charge, totalling £341,000, as stipulated in the budget report by CBRE, excluded payments received from the ground floor retail tenants towards the services and maintenance. 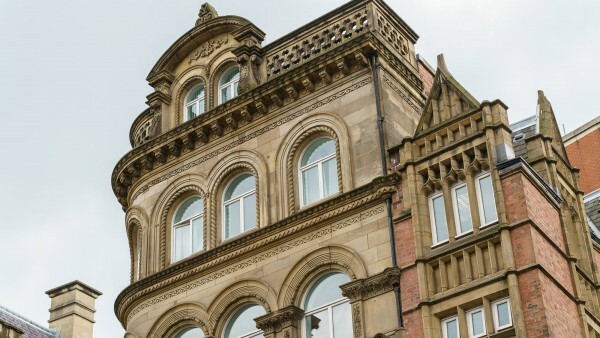 No capital allowances have been claimed by the vendor. 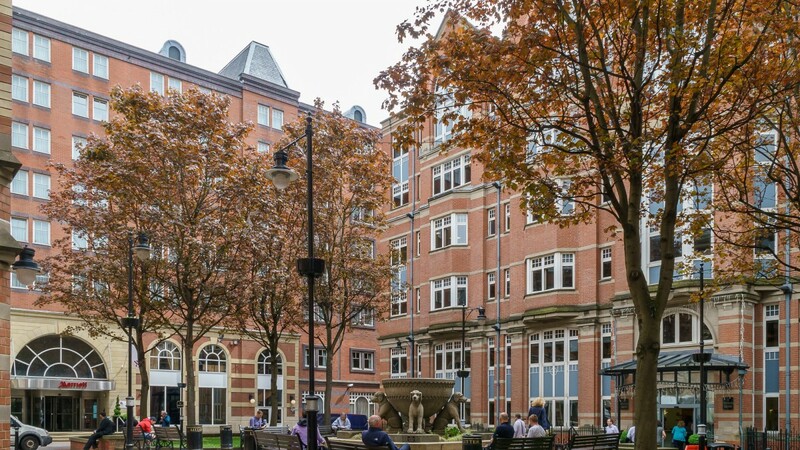 Our client is seeking offers in the region of £9,150,000 (Nine Million, One Hundred and Fifty Thousand Pounds), subject to contract. 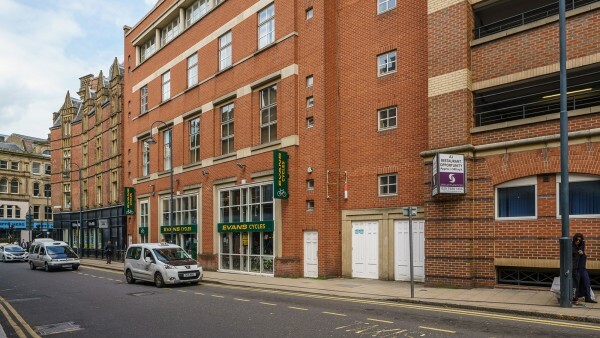 The asking price reflects a true net initial yield of 8.00%. 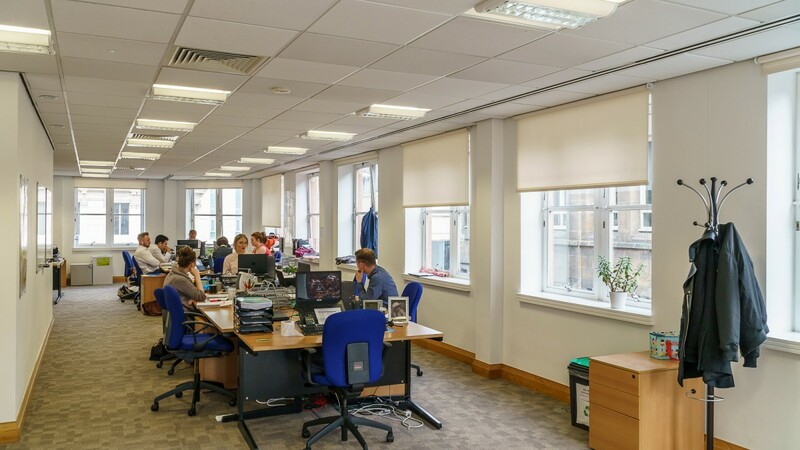 Any outstanding rent free period and the three year rent & rates guarantee will be dealt with by an appropriate apportionment on the completion statement.